If you’ve been to my house for dinner in the last year or so, there is a good chance I served you this cake for dessert. I first saw this recipe in The New York Times food section. 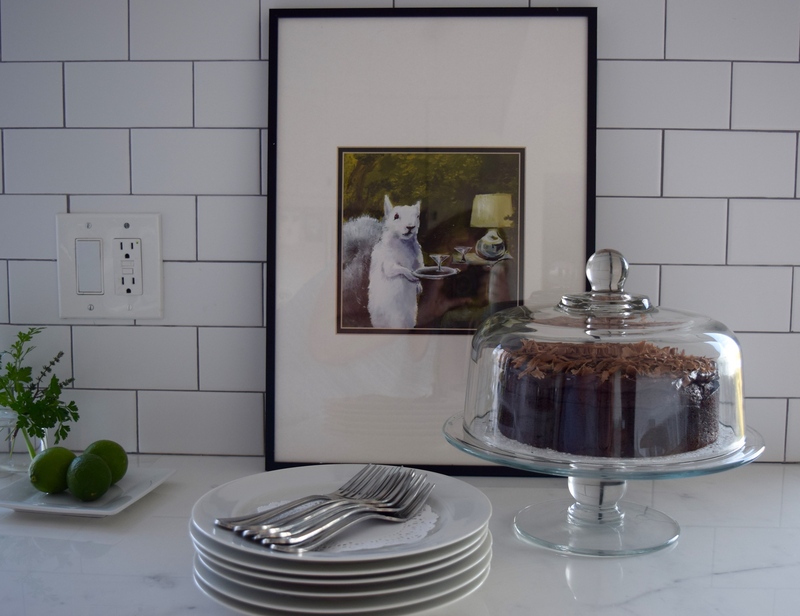 My attention was captured with Buddy the Elf like enthusiasm by the title of “World’s Best Chocolate Cake.” Its author, Yotam Ottolenghi sealed the deal (important to note–this is actually Helen Goh’s recipe, read on for explanation). 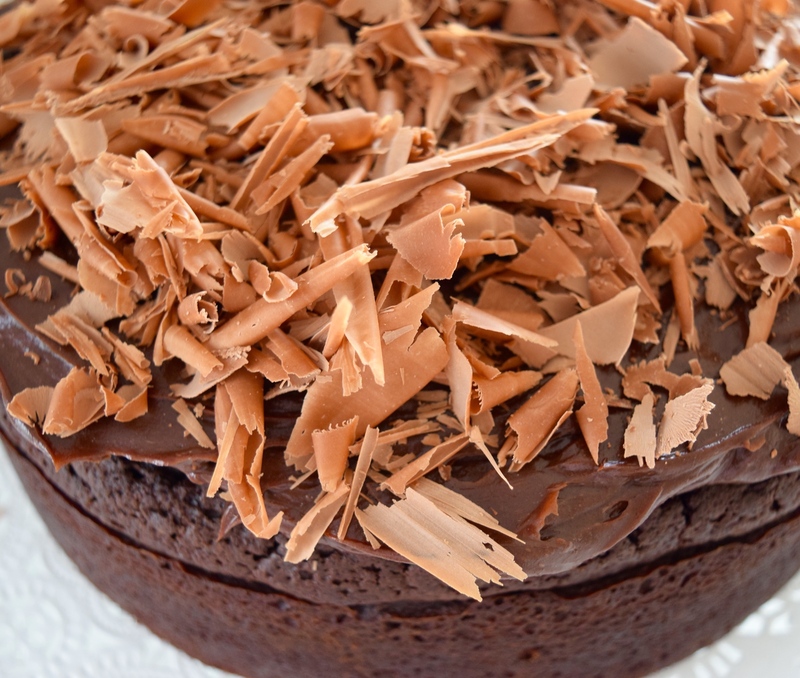 For being the world’s best chocolate cake, its outward appearance is pretty humble. Just a single layer topped with ganache. Even the recipe is easy; reading an awful lot like my favorite brownie recipe. And yet–here, humble and easy translated become elegance. The crumb is incredibly dense and rich (especially if you err on the short side of cook time) but balanced by the addition of coffee. 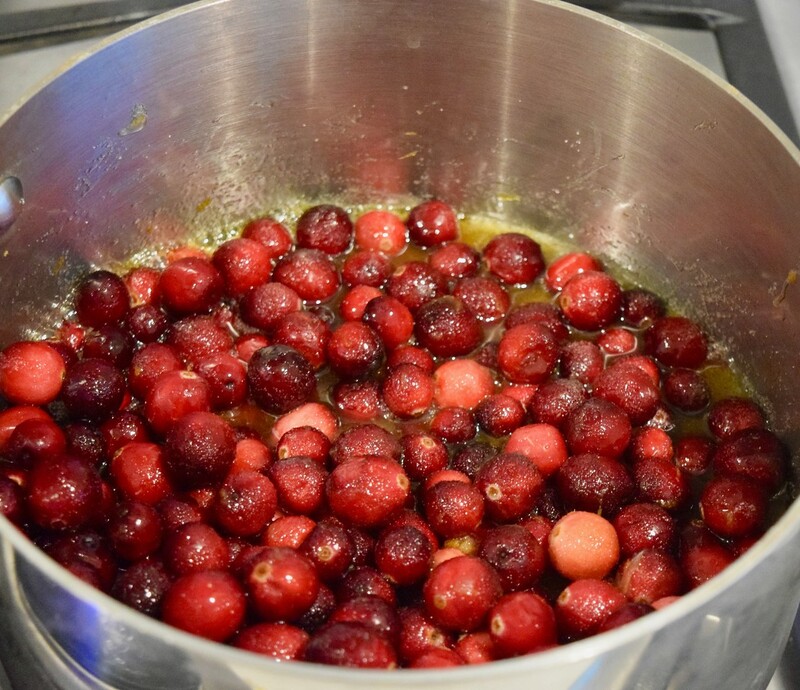 The recipe appeared in the NYT as precursor last fall’s publication of Sweet, the cookbook devoted entirely to Ottolenghi and his pastry chef, Helen Goh’s, desserts. The cake recipe is as fantastic as it is easy. However, it’s the ganache technique that was a major game changer for me. 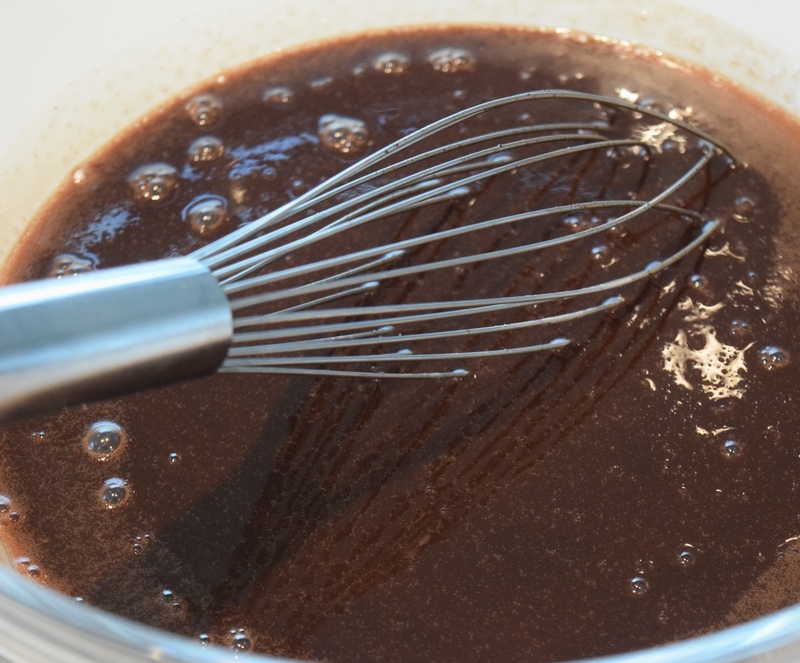 I’ve had middling success with ganache in the past(and I’ve made a lot of it) More often than I’d like to admit, for reasons I can’t explain, it comes out pellety (probably not a real world) despite my commitment to whisking it the right way. 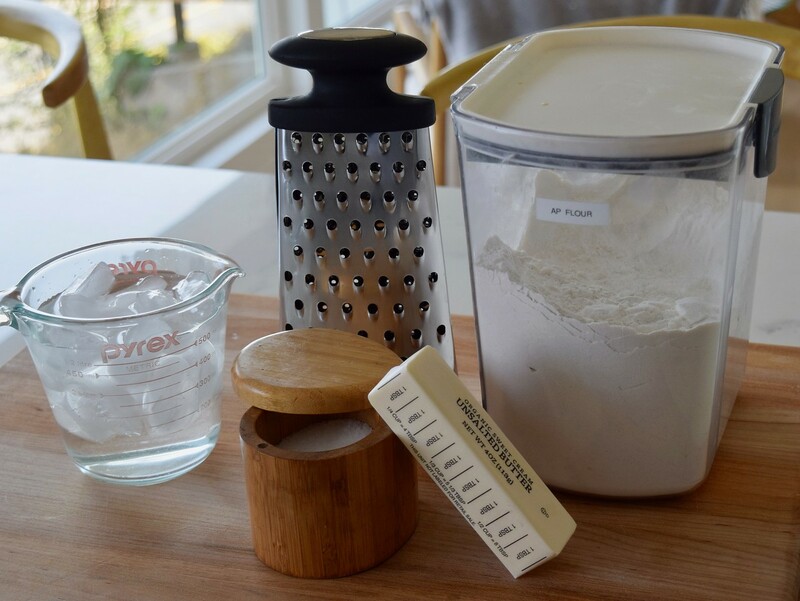 In Ottolenghi and Goh’s version you get to trade your whisk for a food processor. Before the addition of the usual cream and butter, the chocolate is basically pulverized into a fine dust making for an incredibly smooth and silky ganache. Once you Goh ganache, you’ll never go back. 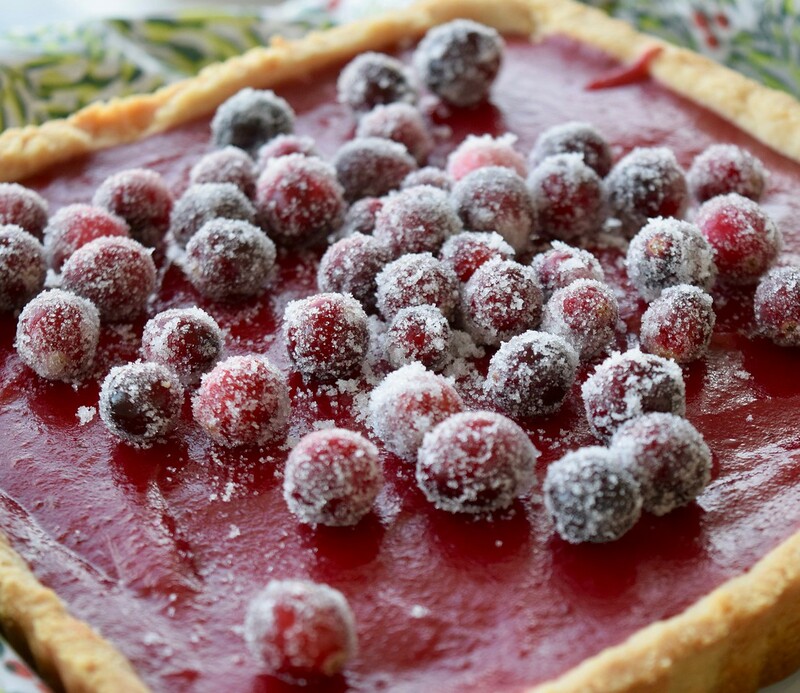 If you want to serve this at a party or for the holidays, the cake recipe is simple enough that you should probably make it the same day (the crust on the top is part of the cake’s charm but is lost if frozen or left over night). Instead, if you are trying to save time do what I do–and make up 2-3 batches of the ganache at a time and freeze them. Then, on the day of, pull the ganache, let it come to room temperature and then use as if you’ve just made it. 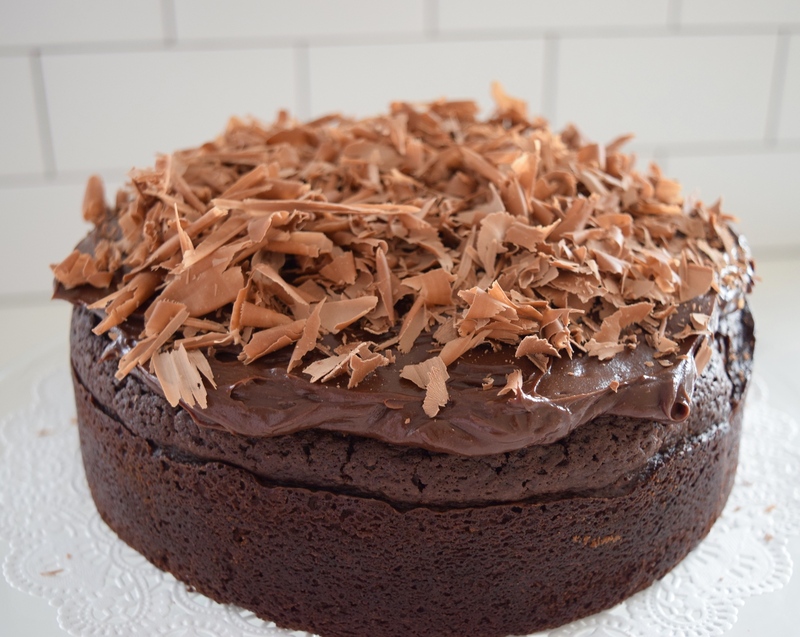 Why do we call it damn cake instead of world’s best chocolate cake? Well, last fall my parents were at our house for dinner. We were all a couple of gin and tonics into the evening by the time we got to dessert and my mom kept exclaiming how damp it was (she meant moist). Another round of gin and tonics and damp became damn. By the way, the cookbook, like all of Yotam Ottolenghi’s books, is superlative. Heat oven to 350 degrees Fahrenheit/170 degrees Celsius. 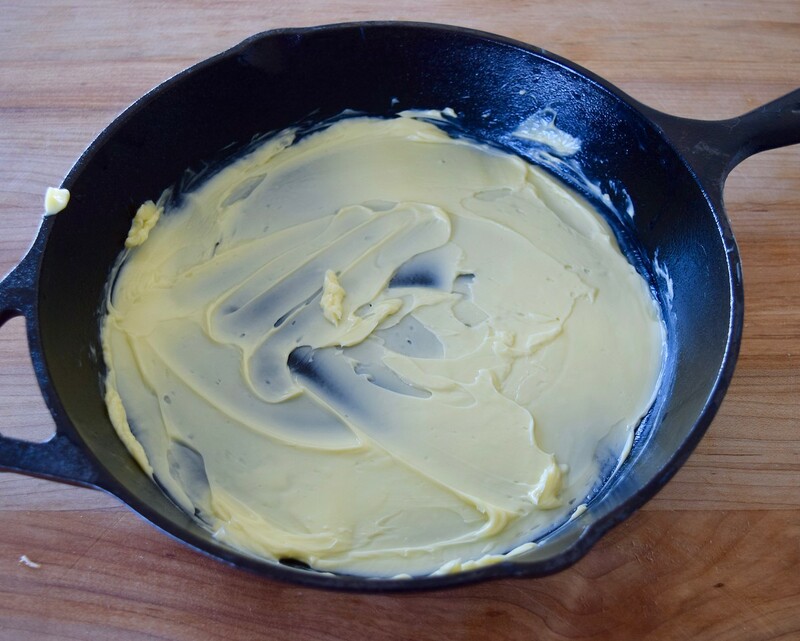 Grease a 9-inch/23-centimeter round springform pan with butter and line with parchment paper, then set aside (TMH–I’ve also used a smaller 6 inch springform with equally good results). Make the cake: Place butter, chocolate and hot coffee in a large heatproof bowl and mix well until everything is melted, combined and smooth. Whisk in sugar by hand until dissolved. 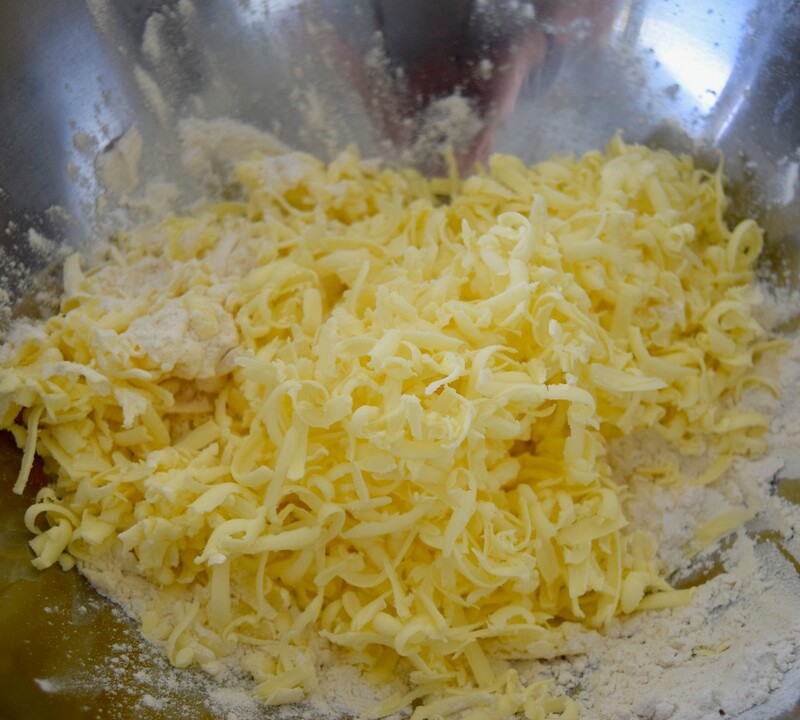 Add eggs and vanilla extract and whisk again until thoroughly combined and smooth. 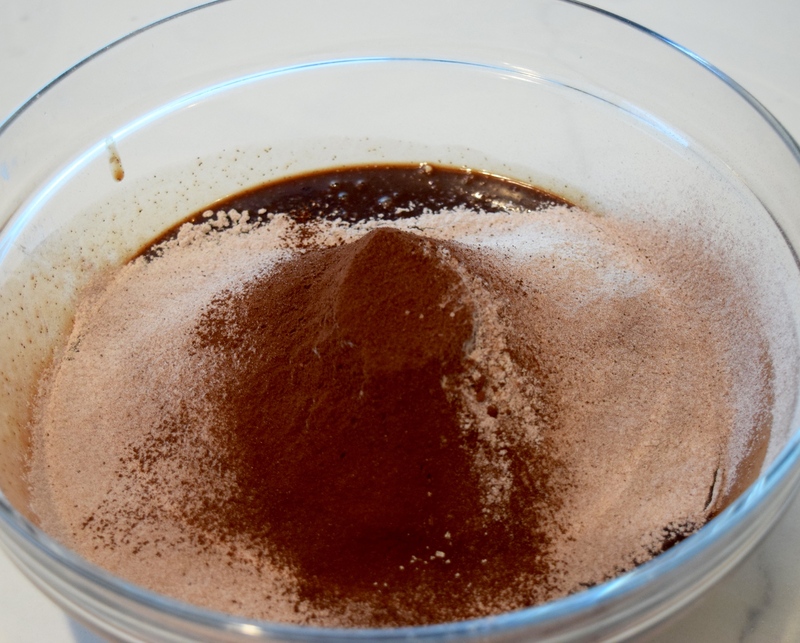 Sift flour, cocoa powder and salt together into a bowl and then whisk this into the melted chocolate mixture. 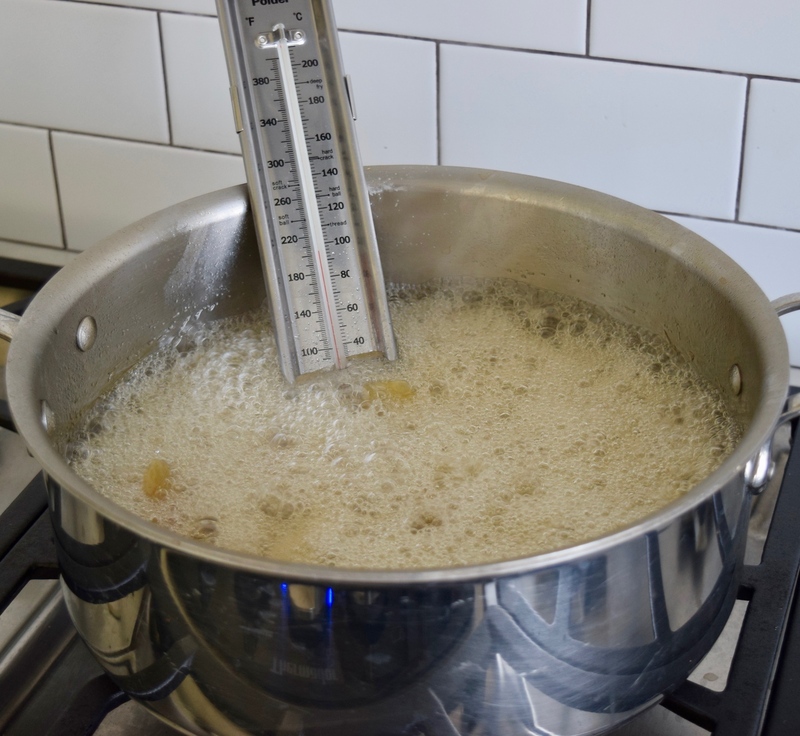 The batter here is liquid, but don’t think you have missed something; this is how it should be. 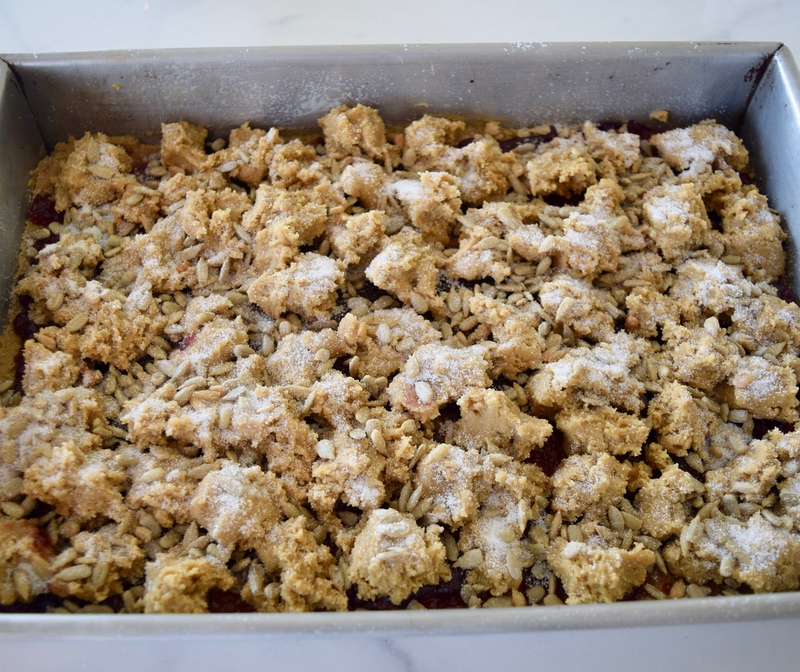 Pour batter into the prepared pan and bake for 1 hour, or until the cake is cooked and a skewer inserted into the center comes out clean or with just a few dry crumbs attached. 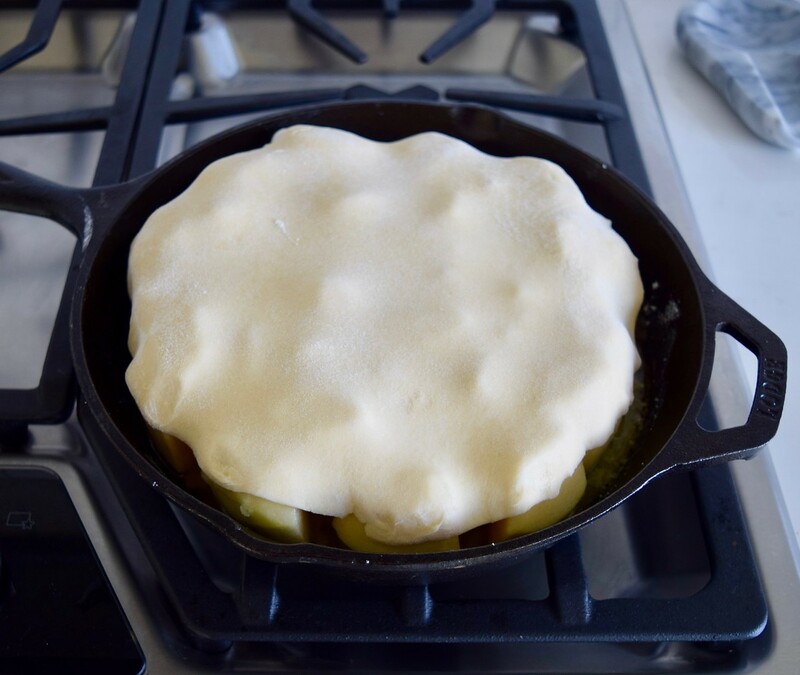 The top will form a crust and crack a little, but don’t worry, this is expected (TMH note–it’s the best part). 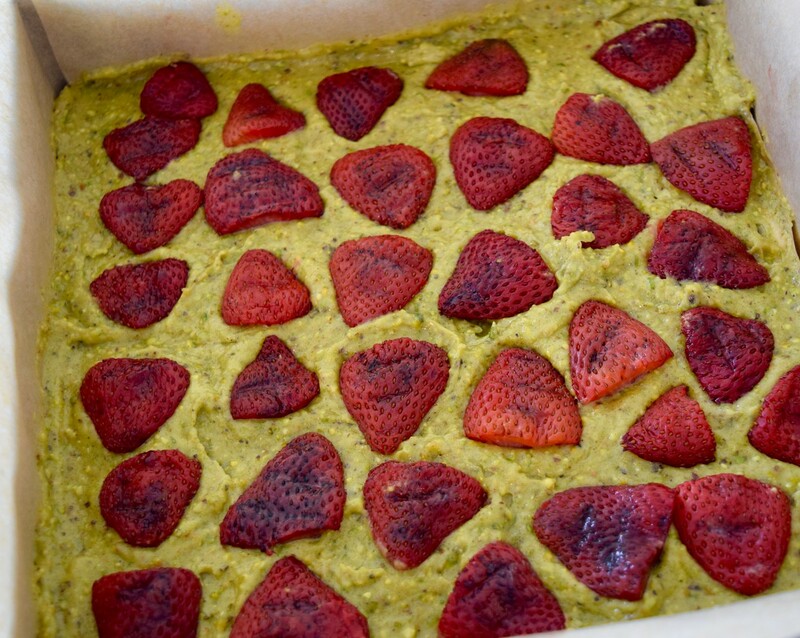 Leave the cake to cool for 20 minutes before removing from the pan, then set aside until completely cool. 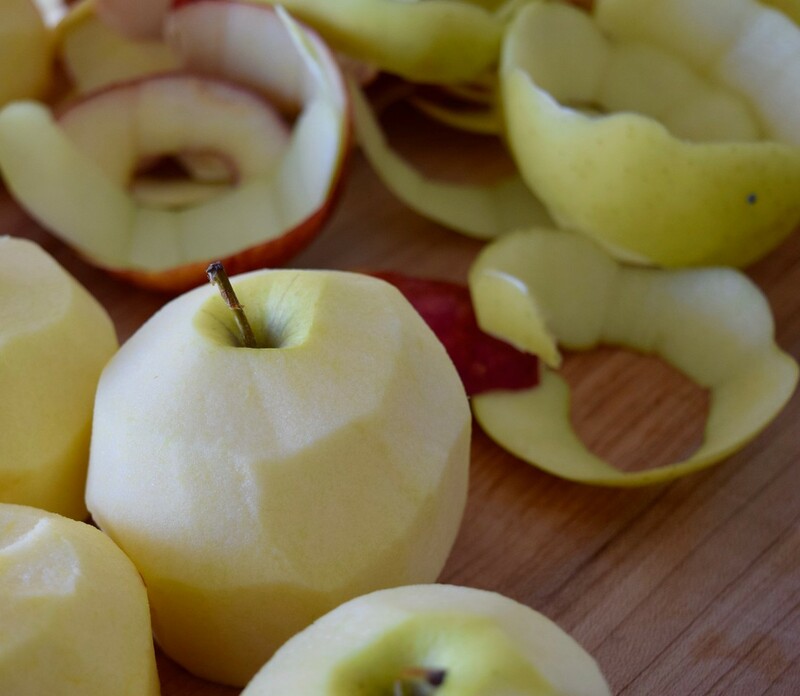 Peel the parchment from the cake and discard. Transfer to a serving platter and spread the ganache, if using, on top of the cake. Slice into wedges, divide the cake among plates and, if using, spoon the mascarpone cream alongside. 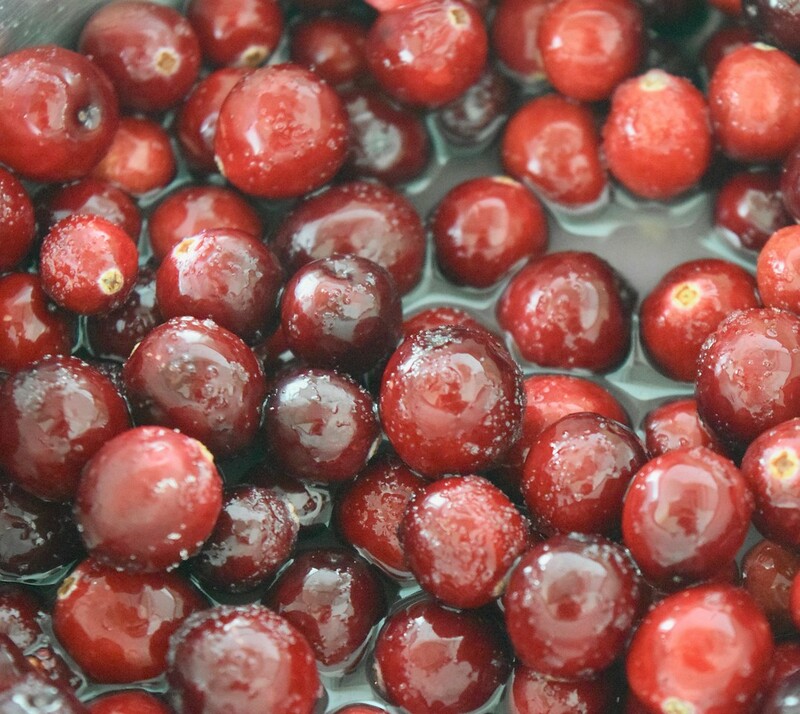 With or without icing, the cake will keep well for 4 to 5 days in an airtight container. Most likely for her own amusement, my mom told my brother and I numerous falsehoods about all kind of things when we were growing up. Several of them had to do with food. And aliens. And big foot. But, we’ll leave the aliens and big foot for some other post. Cheetos were rusty nails. The meat from the stew she made each Halloween came from the graveyard. And, poppy seeds were spider eggs. Mostly we knew she was joking. Mostly. 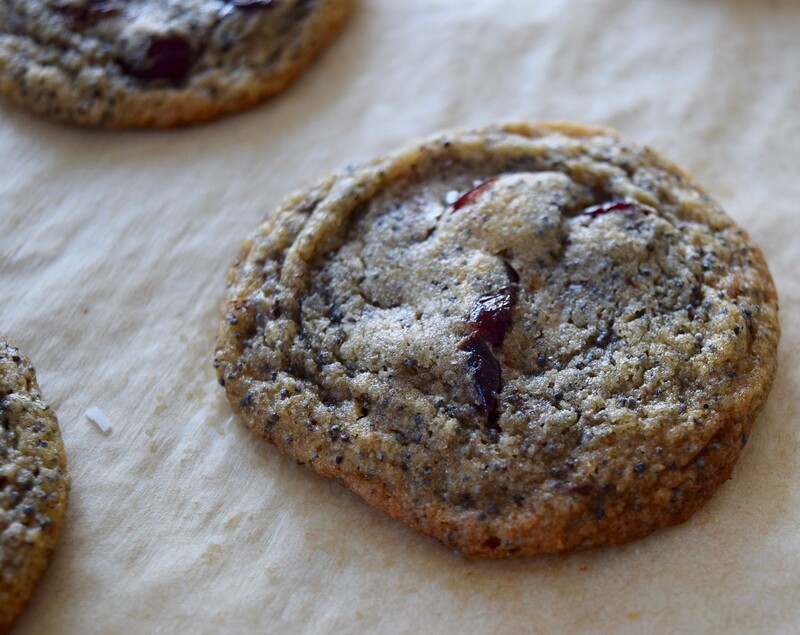 So, when my friend Ann Mah made the Mokonut’s rye-cranberry chocolate chunk cookies she’d earlier featured in her Insta Stories while at their bakery in Paris, the first place my mind went was spider eggs and pickled newt’s eye (no, I don’t know what newts are, don’t ruin it). 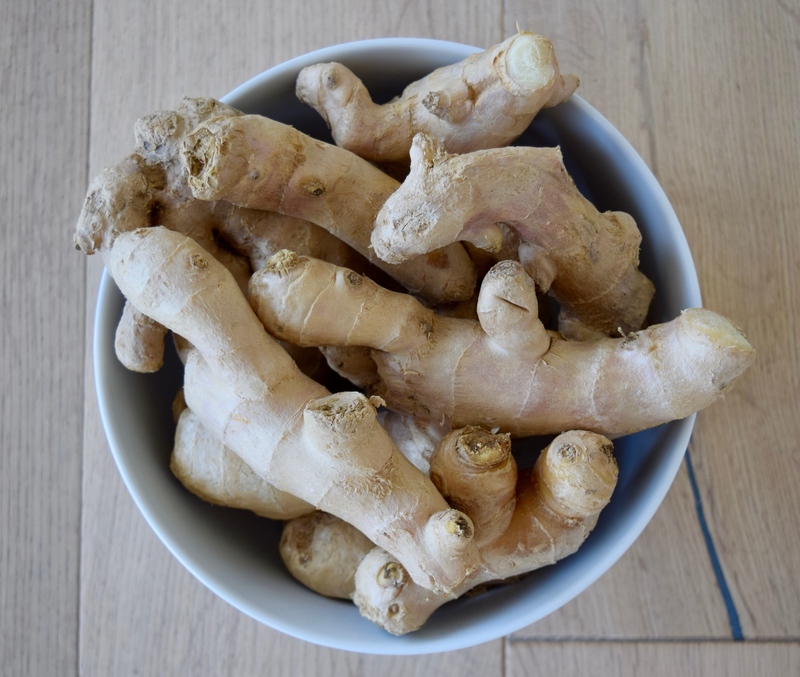 This recipe has been making the rounds in-part thanks to a feature by Dorie Greenspan in the New York Times. No doubt, they’re this fall’s “it” cookie. 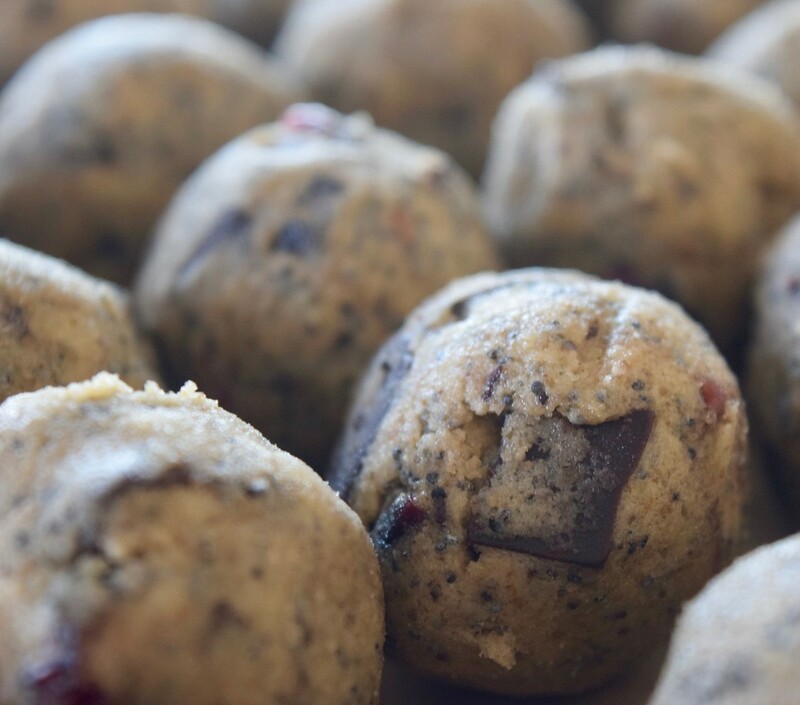 With the unusual addition of poppy seeds (spider eggs) and dried cranberries (pickled newt’s eyes), they are also just the thing to make up for your favorite witches, goblins and storm troupers. 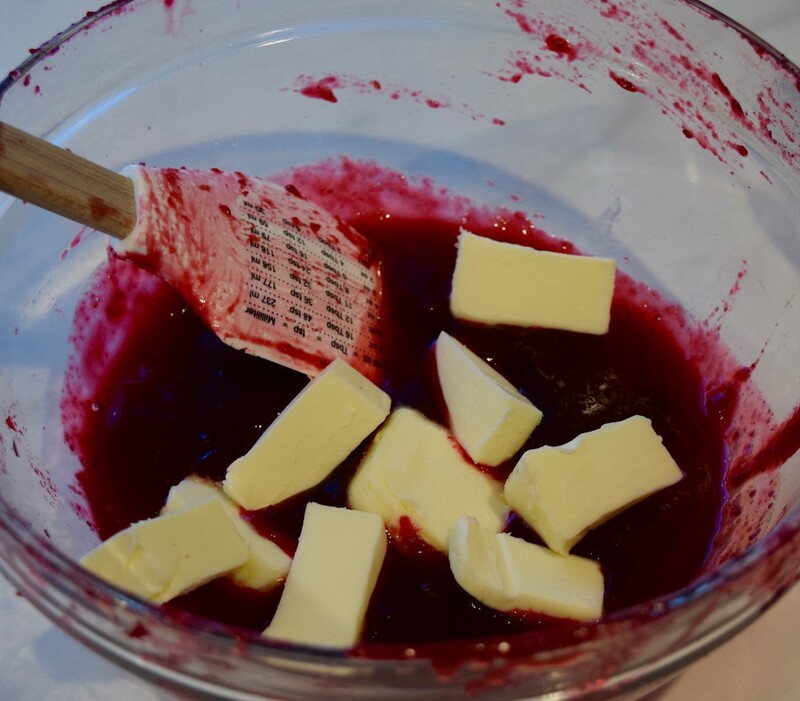 Working with a mixer (fitted with the paddle attachment), beat the butter and both sugars together on medium speed for 3 minutes, until blended; scrape thebowl as needed. Add the egg, and beat 2 minutes more. 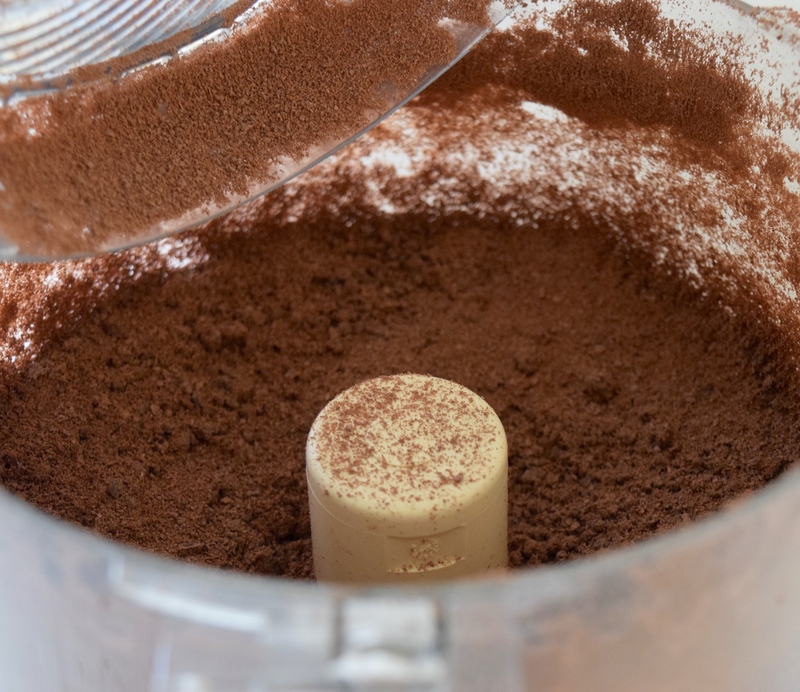 Turn off the mixer, add the dry ingredients all at once, then pulse the mixer a few times to begin blending the ingredients. 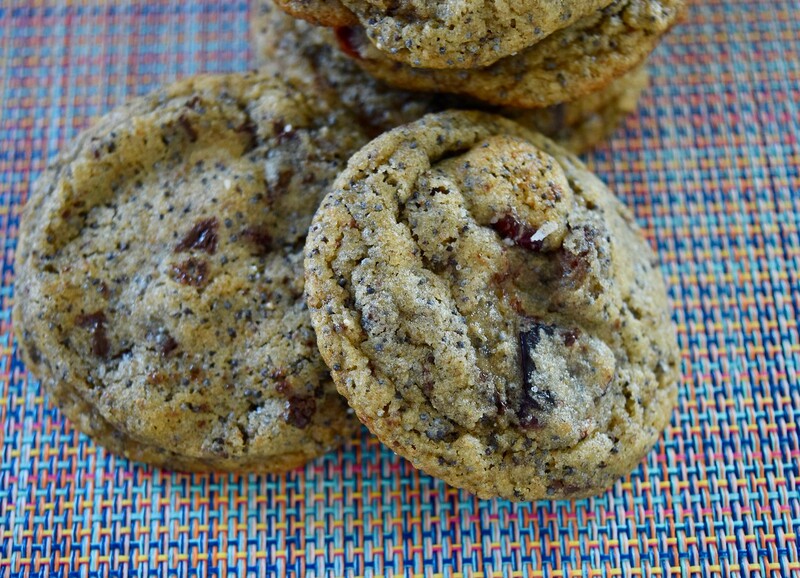 Beat on low speed until the flour almost disappears, and then add the poppy seeds, cranberries and chocolate. Mix only until incorporated. 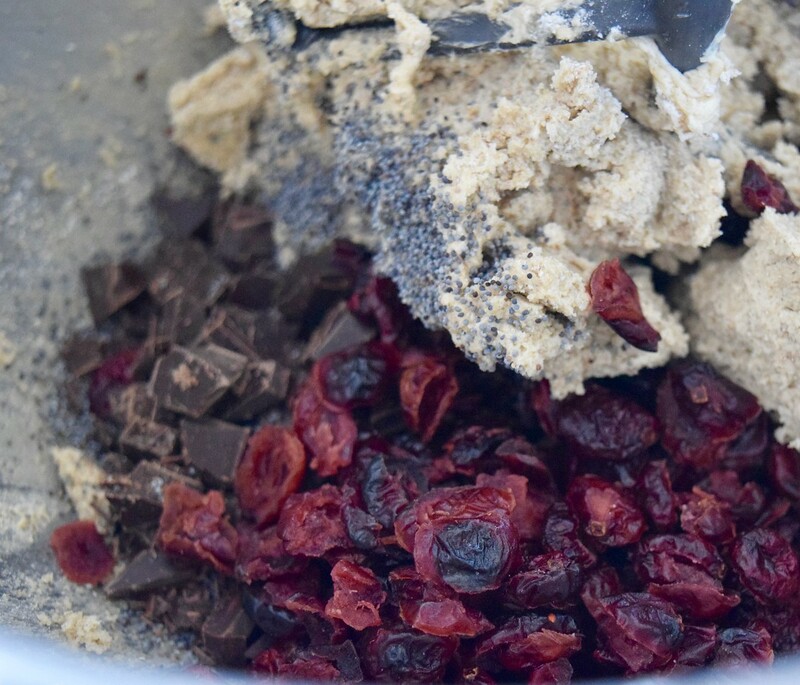 Scrape the bowl to bring the dough together. I’ve noticed that there seems to be a divide between people who “like to cook” and people who “like to bake.” It’s also been my observation (and opinion I suppose) that much of this divide has been codified by the “cookers” who think that baking is creatively restrictive, what with the requirement for exact measurements and precise ingredients. Perhaps I’m literally self-fulfilling the prophecy here, but, I see baking parameters as freeing–not restrictive. 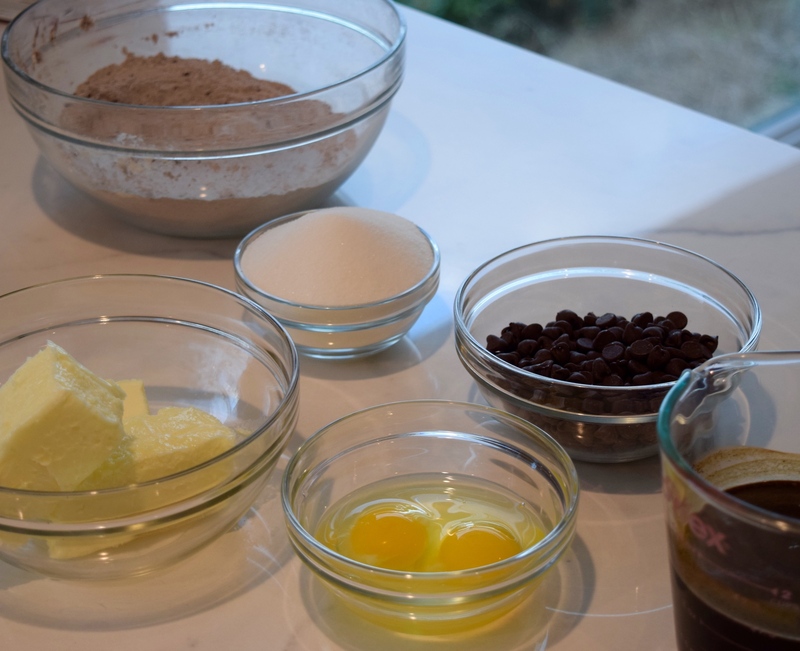 One of the things I love about baking is that if you follow the directions, you are generally guaranteed something in the neighborhood of success (Unless you are making French macarons. Then, you are on your own). In fact, I find that following directions is what allows me to get creative. Once I understand how things work, I usually feel liberated to get jiggy with it. 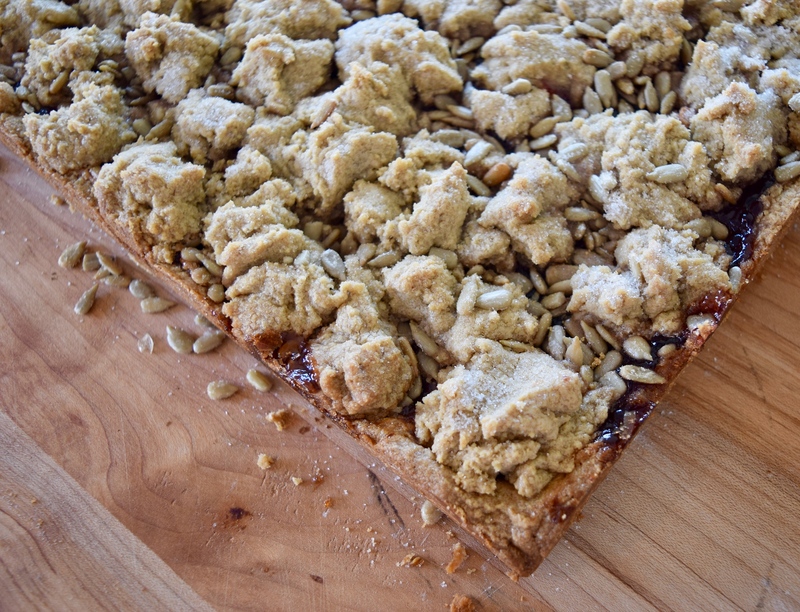 These squares are a great example, I borrowed and adapted the recipe from Deb Pearlman at Smitten Kitchen. She borrowed and adapted it from Dorie Greenspan. 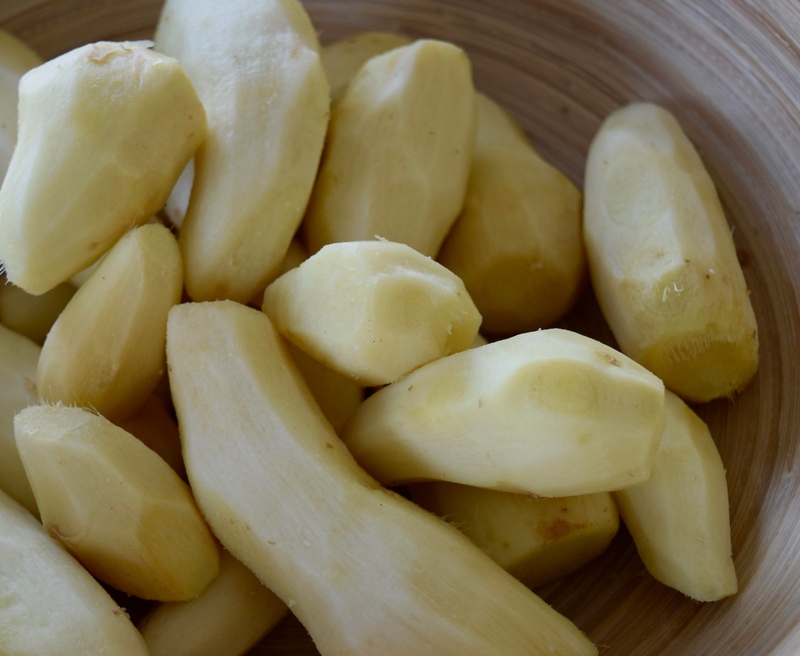 While the general idea of the recipe is similar, each of us has used a different fruit. 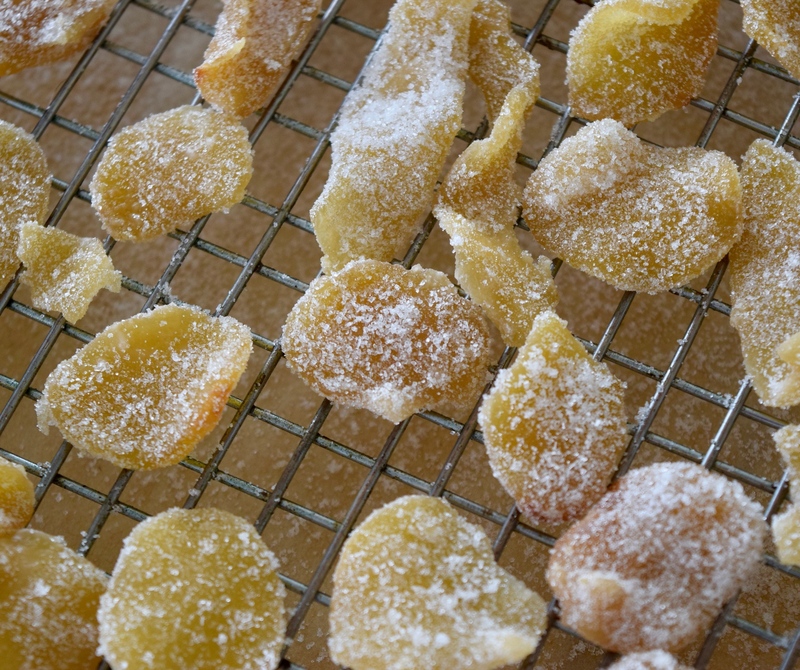 Originally, I planned to stick closely to the Smitten Kitchen version and use apricots. Alas, I was informed by the grocer that apricot season was very short this year and I’d missed it (I had no idea they even had a season). So I looked around me, found that strawberries were on sale (also not in season but I wasn’t going to ask questions) and Bob’s your uncle. Plus, it had been a while since I’d roasted strawberries. Though they appear slightly obscene, roasted strawberries make just about anything better. 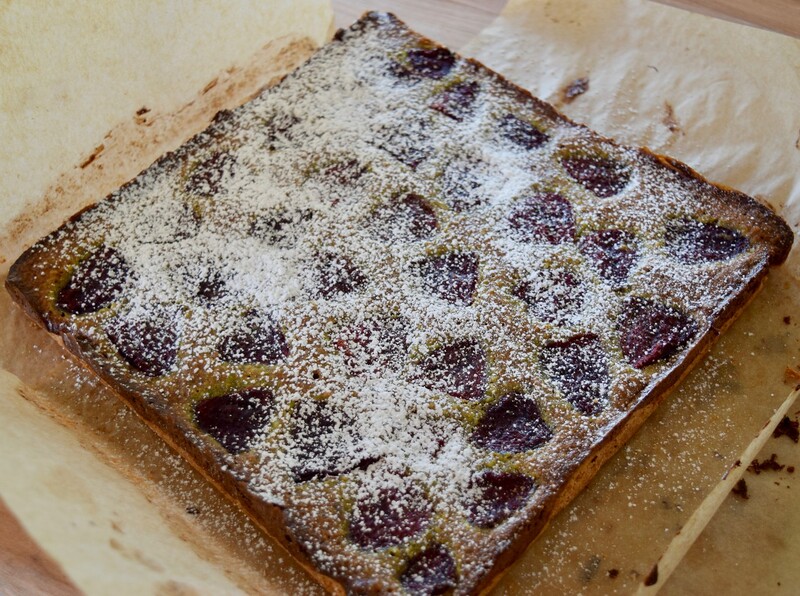 In another “if you follow directions, everything will be fine” twist, these squares use a pistachio in lieu of the usual almond as the main ingredient in the frangipane. Here is the other thing about following directions. I am of the school that if you know the rules, then it makes breaking them even more enjoyable. And for the record–I like to do both: bake and cook. However, it is much easier to offload a batch of brownies on coworkers than it is to get them to take a leg of lamb. So, I bake. 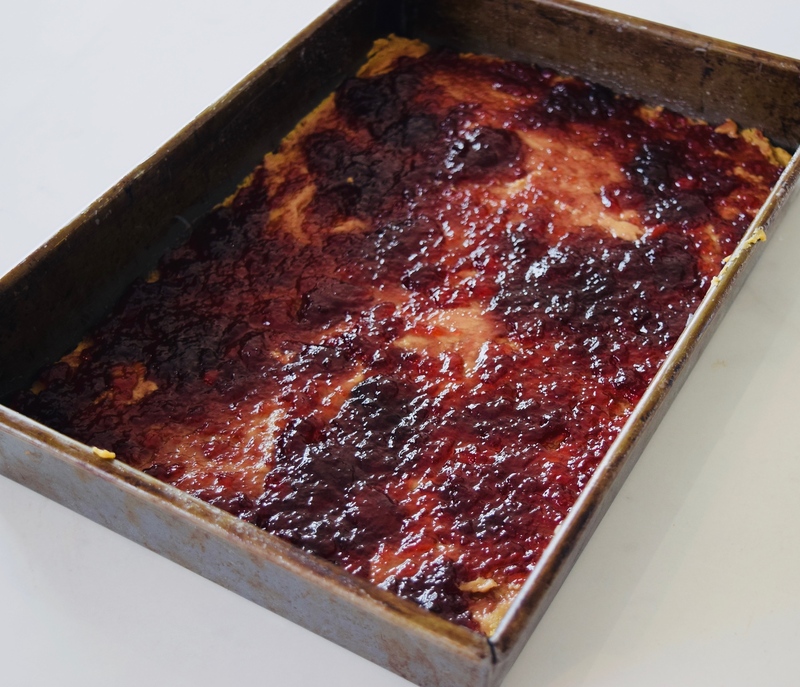 Want some other recipes that feature roasted strawberries? 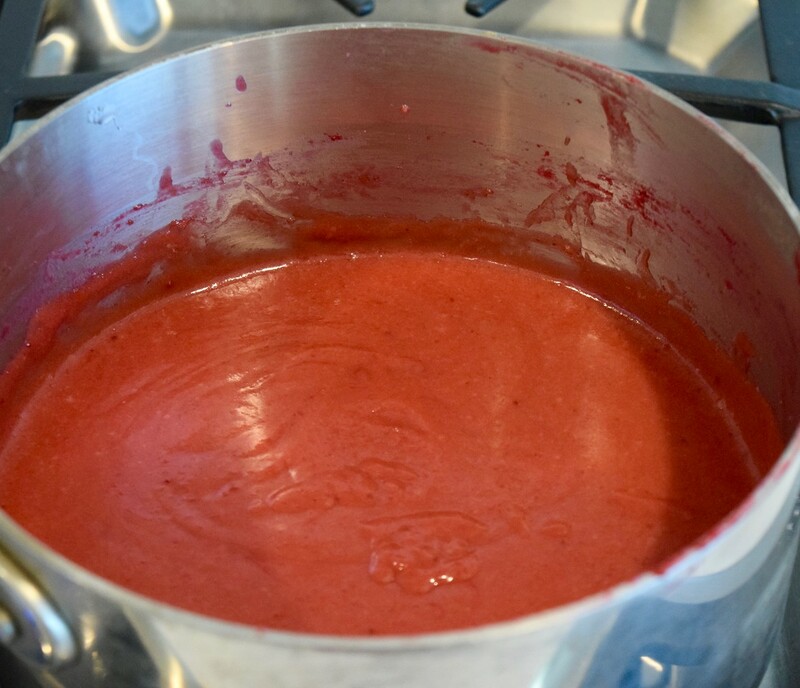 Note–this recipe has been adjusted for the fact that because it uses roasted strawberries, there will be less liquid in the batter and cook time will be shorter. 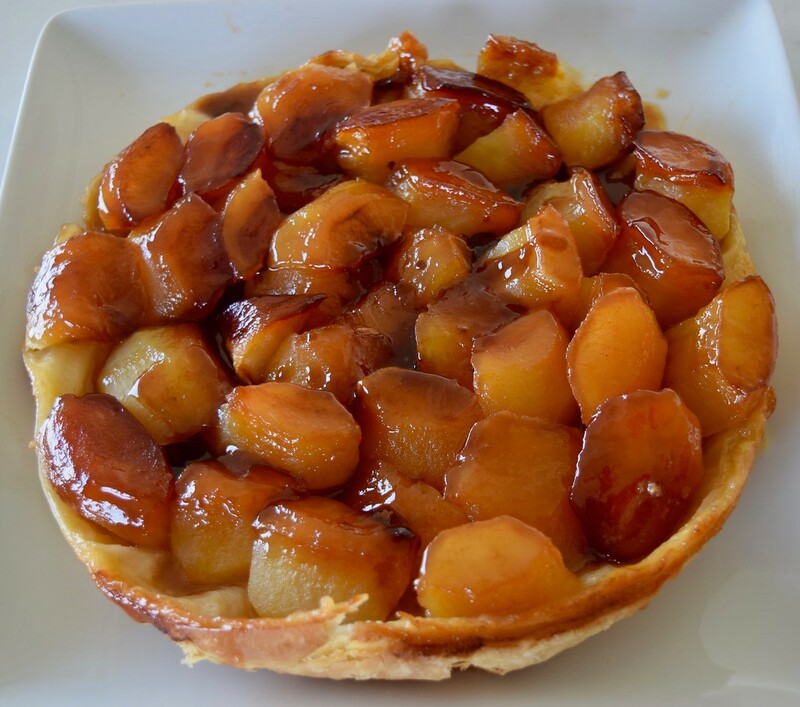 If you decide to use fresh fruit, review the Smitten Kitchen recipe for cook times. 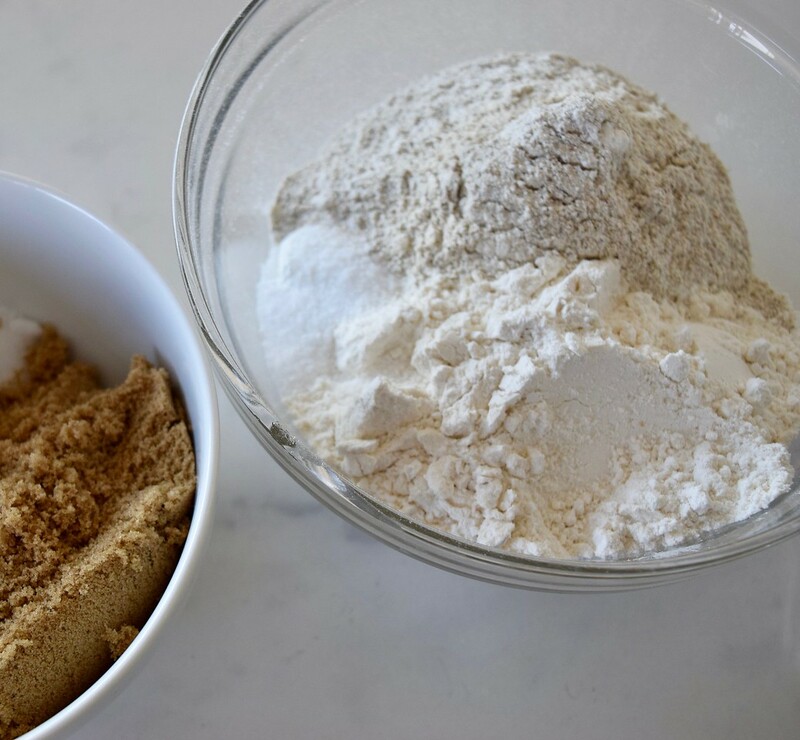 Make the crust: Combine the flour, salt and sugar in the bowl of a food processor. 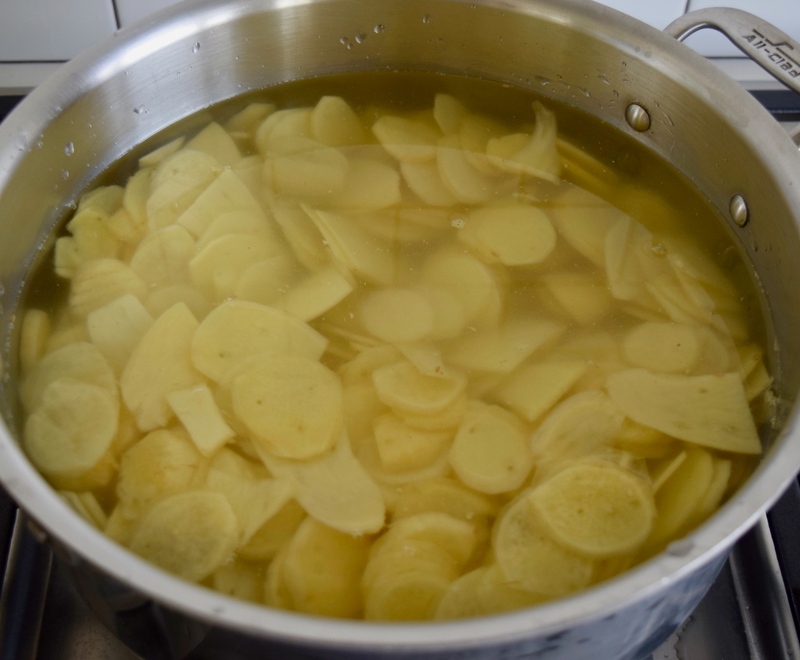 Cut the butter into chunks, and add it to the bowl, then run the machine until the mixture forms large clumps; it might take 30 seconds to 1 minute for it to come together (but it will). 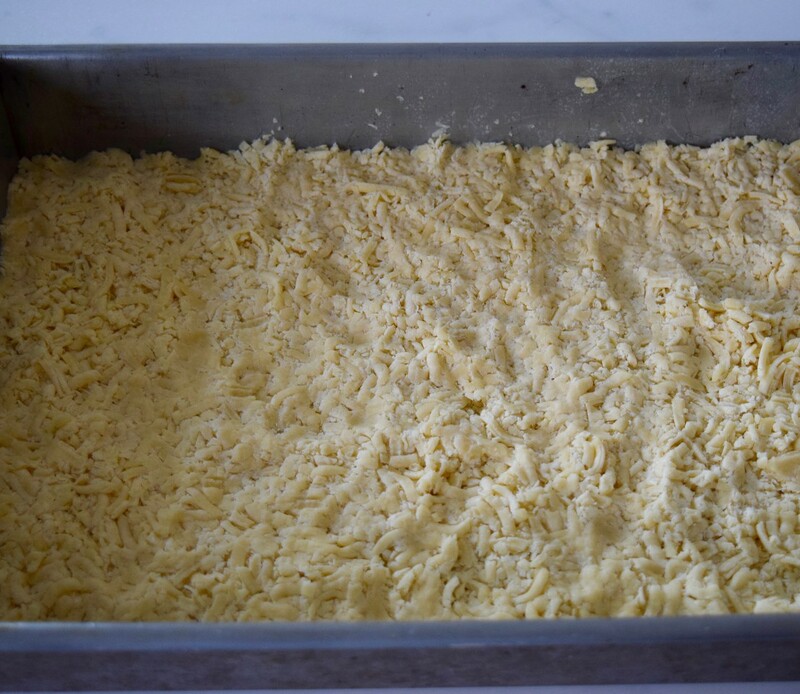 Transfer the dough clumps to your prepared baking pan and press it evenly across the bottom and 1/4-inch up the sides. Bake for 15 minutes, until very pale golden. 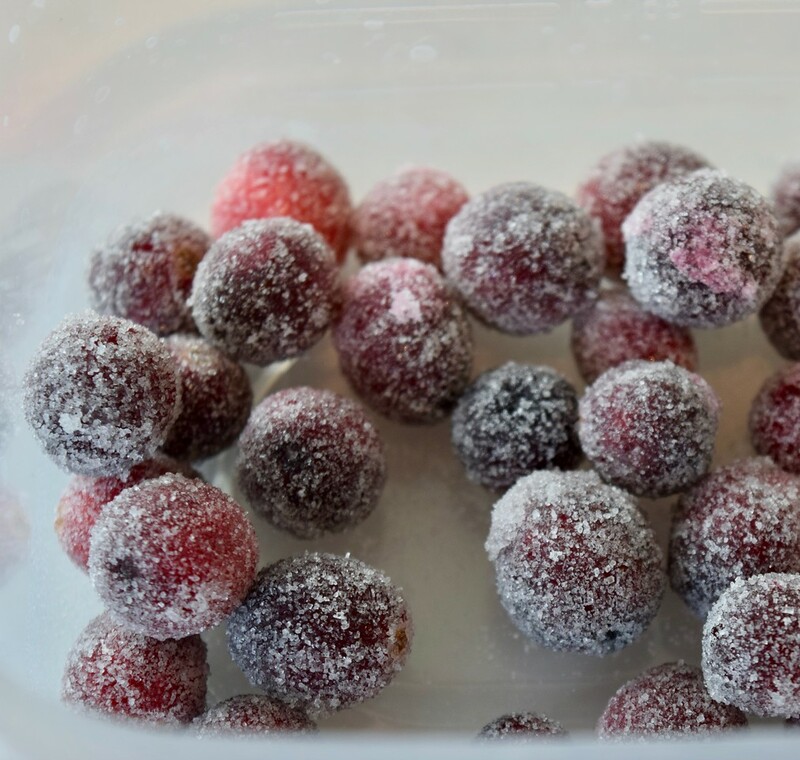 Transfer to a cooling rack in your freezer for 10 to 15 minutes while you prepare the filing. 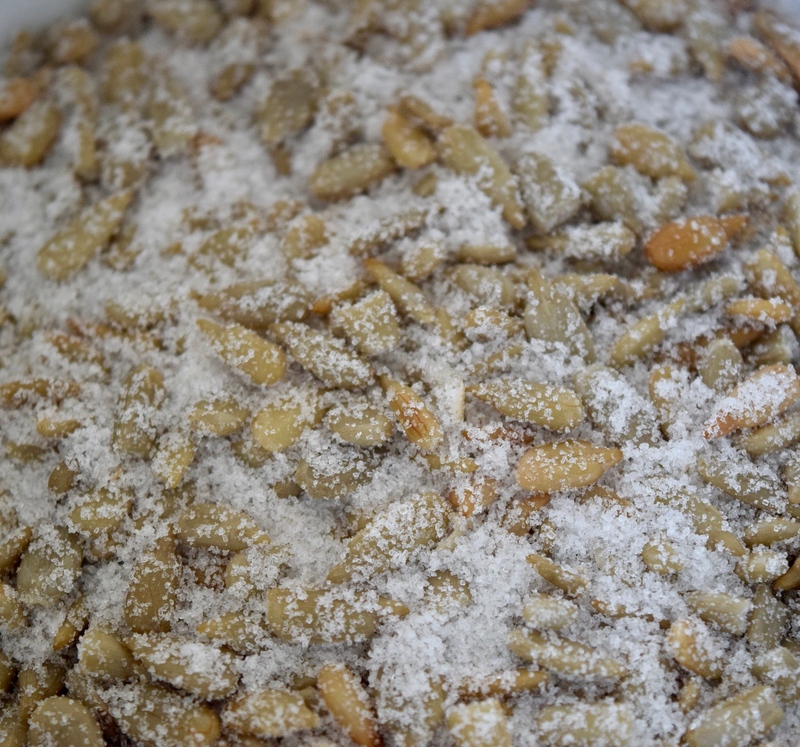 To make the filling: In the food processor bowl, grind the pistachios, sugar, flour and salt together until the nuts are powdery. 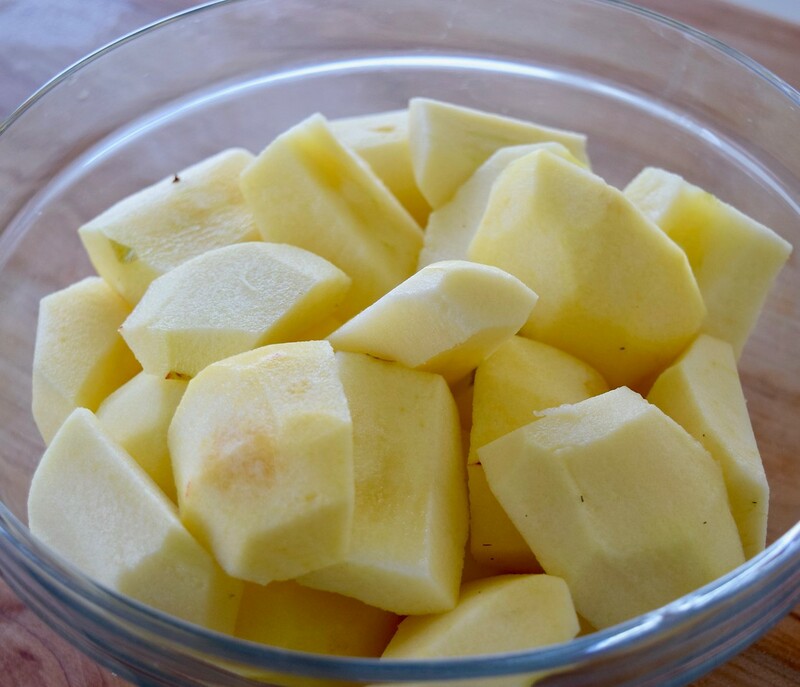 Cut the butter into chunks and add it to the machine. Run the machine until no buttery bits are visible. Add any flavorings and egg, blending until just combined. Spread filling over mostly cooled crust. 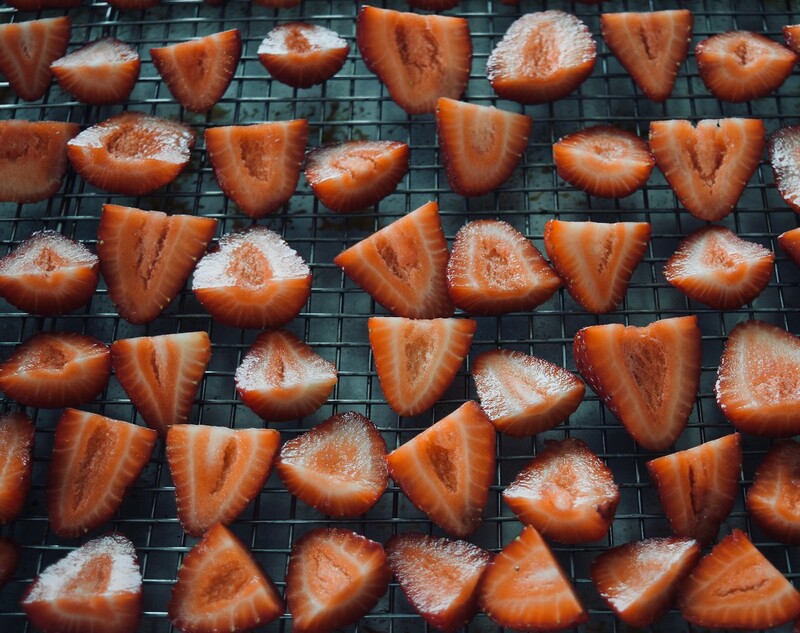 Arrange roasted strawberries on the surface of the filling, pushing them in just slightly. 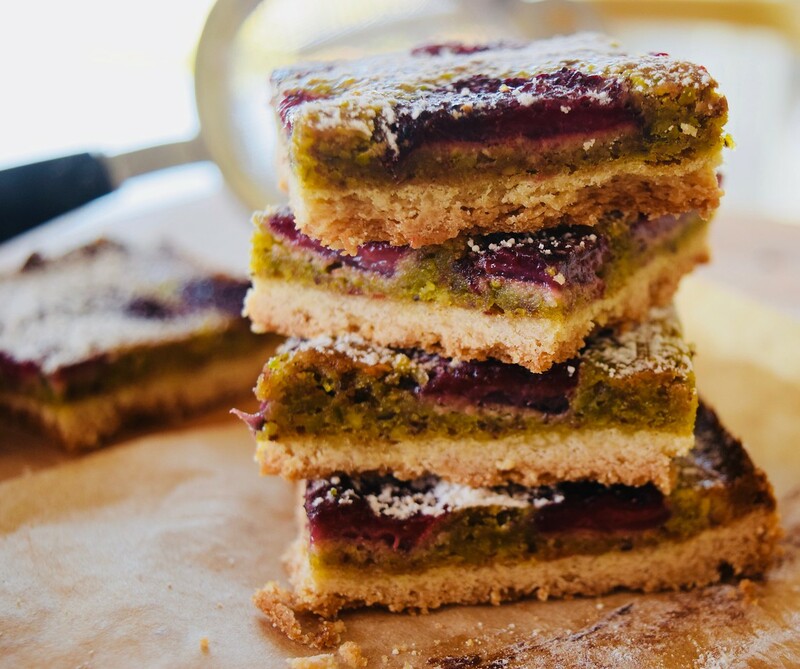 Bake the bars for 40 minutes (but check at 35 minutes), or until they are golden and a toothpick inserted into the pistachio portion comes out batter-free. 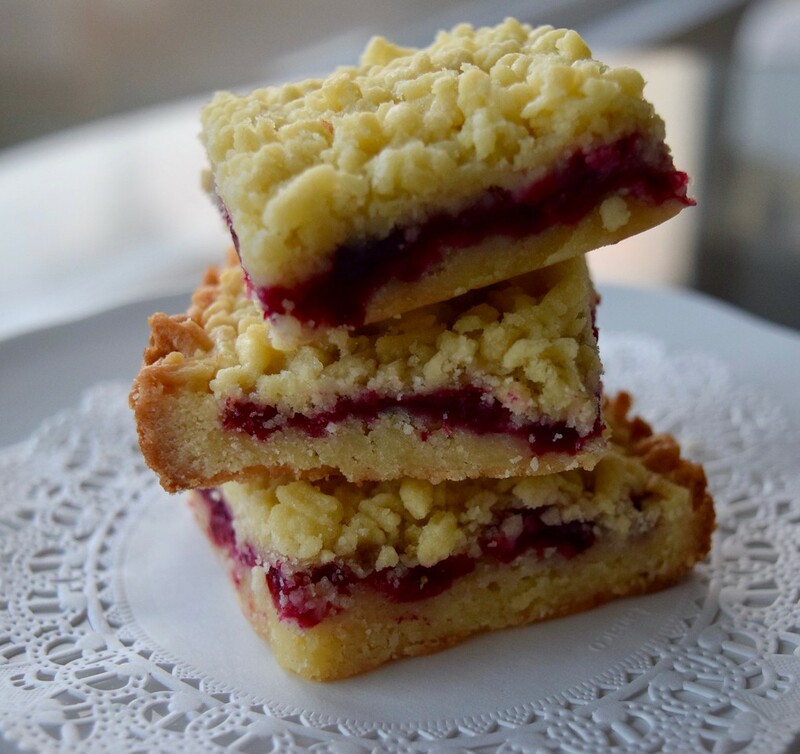 Finish squares with a dusting of confectioner’s sugar. 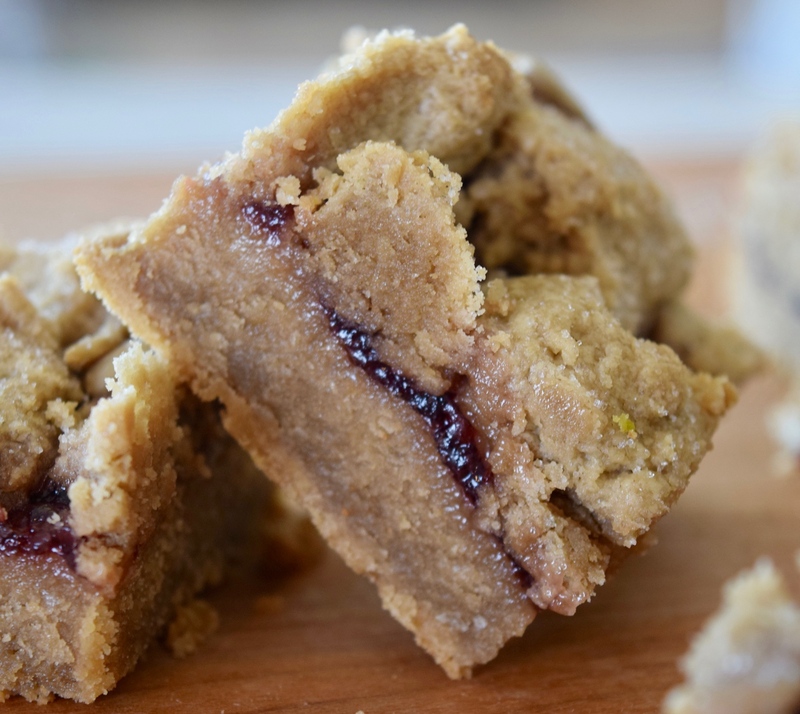 Cut bars into squares — chilled bars will give you the cleanest cuts. Keep leftover bars chilled. 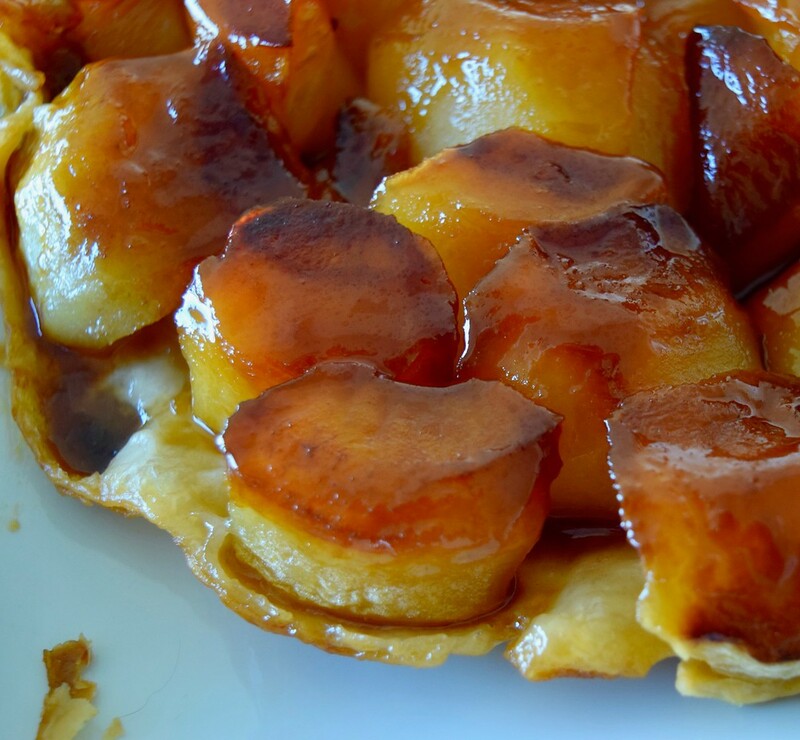 What to do with the other half of the rough puff pastry after last week’s tarte tatin? You make palmiers! 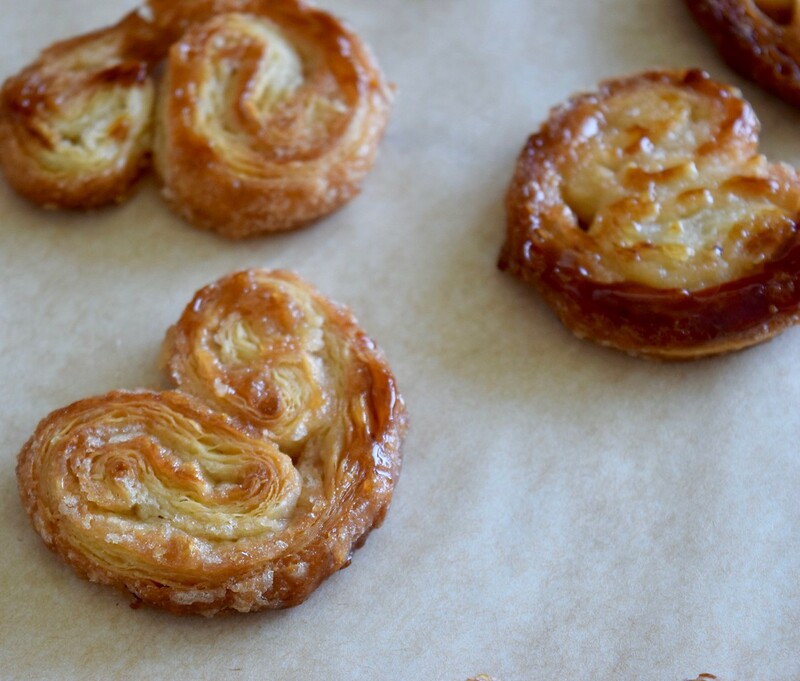 A mainstay bakery treat, palmiers are almost as easy to make as they are to buy. Talk about bang for your buck! Two ingredients (plus a pinch of salt) gets you just-about-to-shatter buttery dough layered with deeply flavored caramelized sugar. While I affiliate the shape of these goodies with butterflies (les pappilons), palmier is French for palm tree and so named because of their resemblance to a palm leaf. Growing up, I knew these treats as orejas (ears–or elephant ears when they are over sized). After a some trial and error I learned that the trick to these is to be really brave and let them bake for much longer than you might be comfortable. 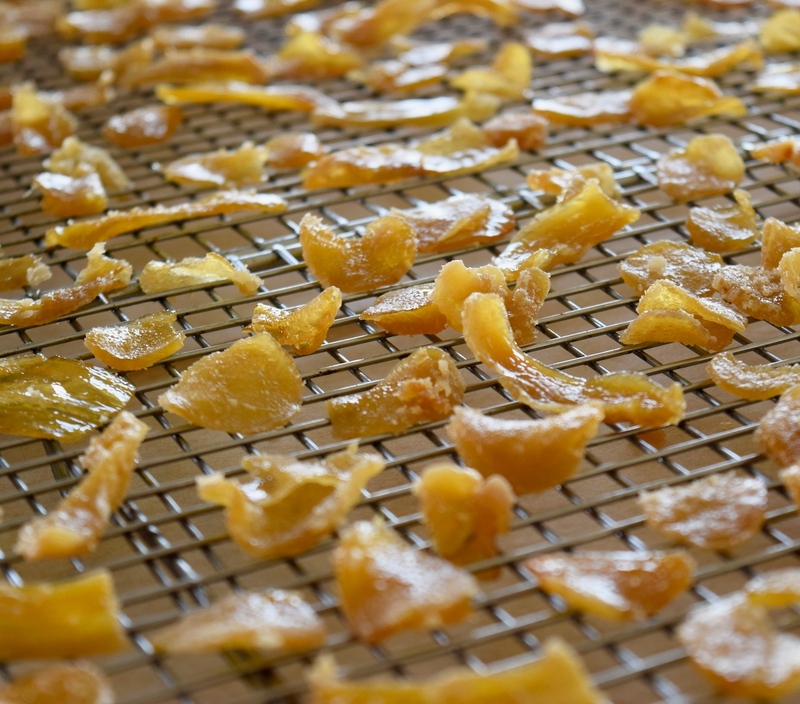 It will take some time in the oven for the sugar to begin to caramalize. But when it does, do not be afraid to go dark. Eating an anemic palmier is worse than not having one at all. 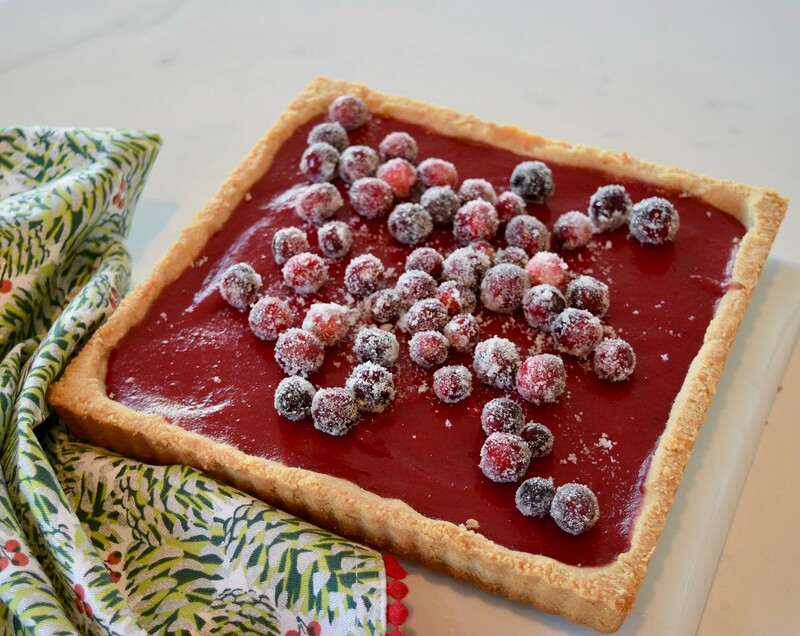 Want some other things to make with puff pastry? How about my favorite appetizer: brie en croute. And then there are Jesuits, delicious no matter your religious persuasion. Or super easy, cheater morning buns. Sprinkle half of the sugar on a work surface. 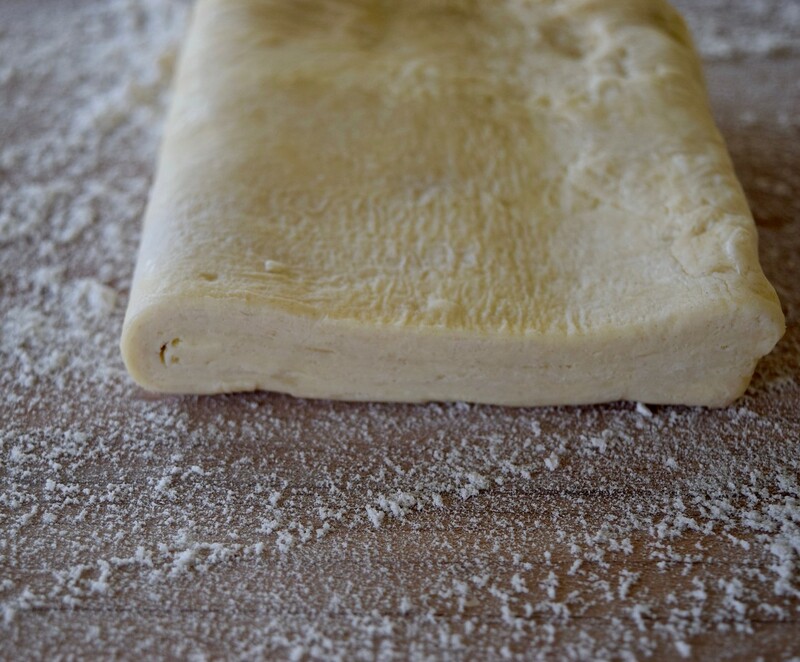 Cover surface with your pastry dough (if you are using store-bought, unfold dough first so that it is one big sheet). 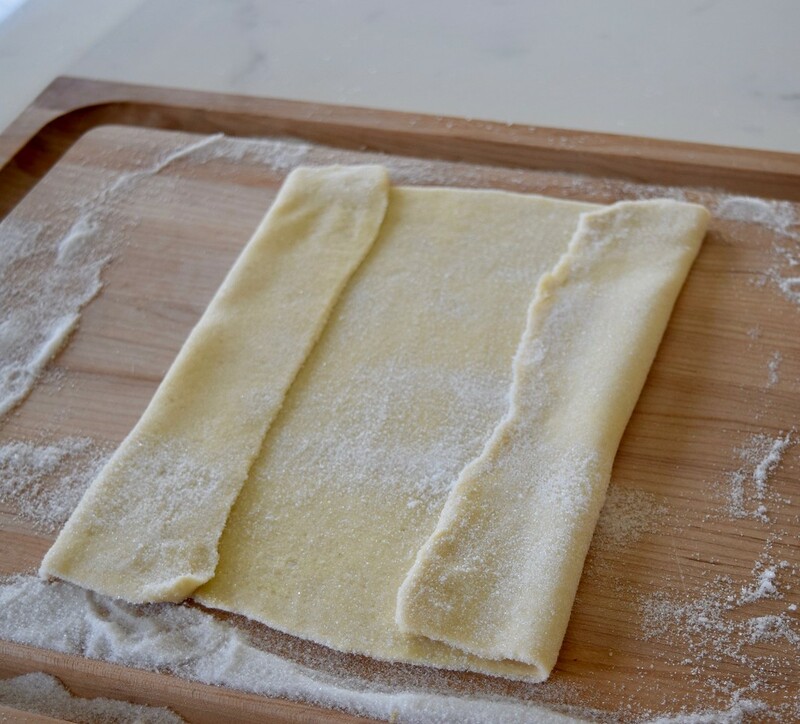 Cover the sheet of pastry with remaining sugar and your pinch of salt. 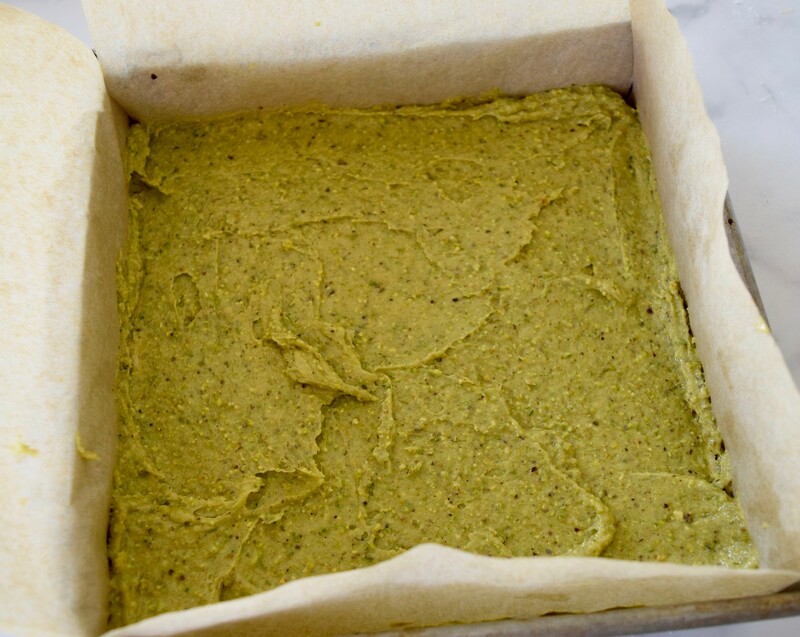 Roll the dough out to a 13X13 inch square, pressing the sugar into the dough on both sides. Fold-in each side so that it is halfway toward the mid-point of the dough. Fold again (see photos). 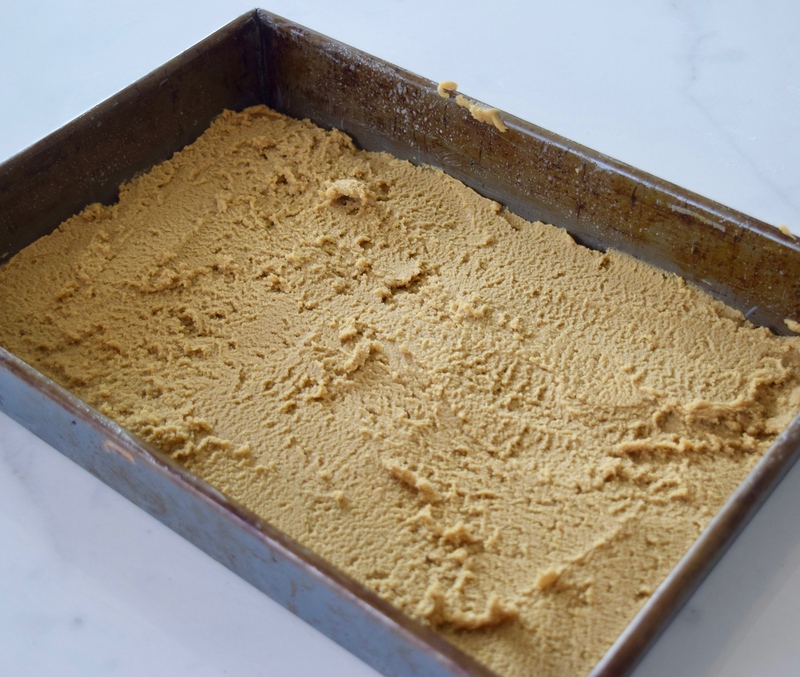 This will give you that pretty palm/butterfly shape and creates six layers of dough. If your kitchen is warm, you may want to put the resulting log into the fridge for a few minutes. It cuts more precisely when cold. When you are ready to cut, cut the log into 1/4-1/2 inch slices. 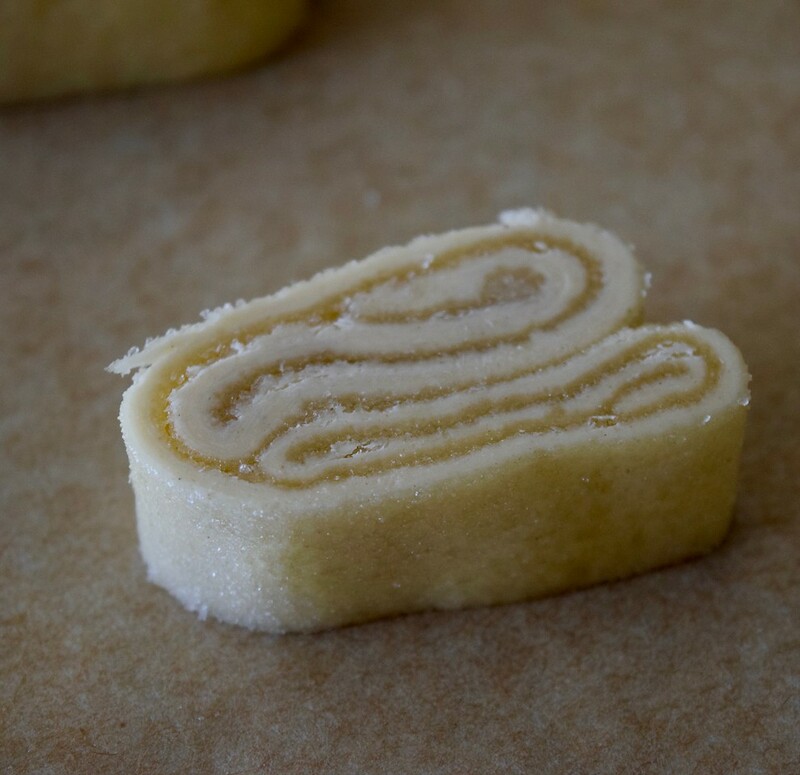 Arrange palmiers onto a baking sheet lined with parchment. Bake for 6-7 minutes. 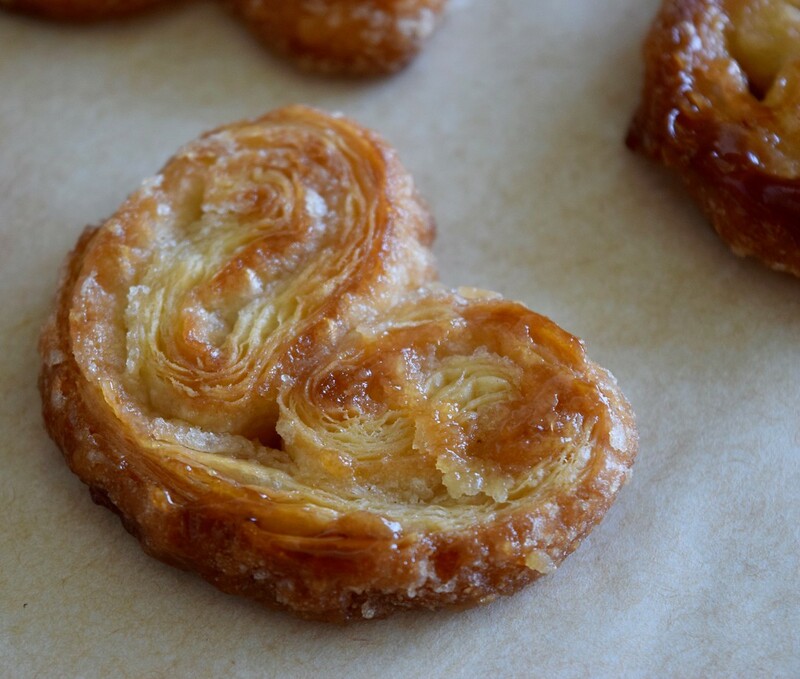 Pull pan from the oven and flip each palmier. 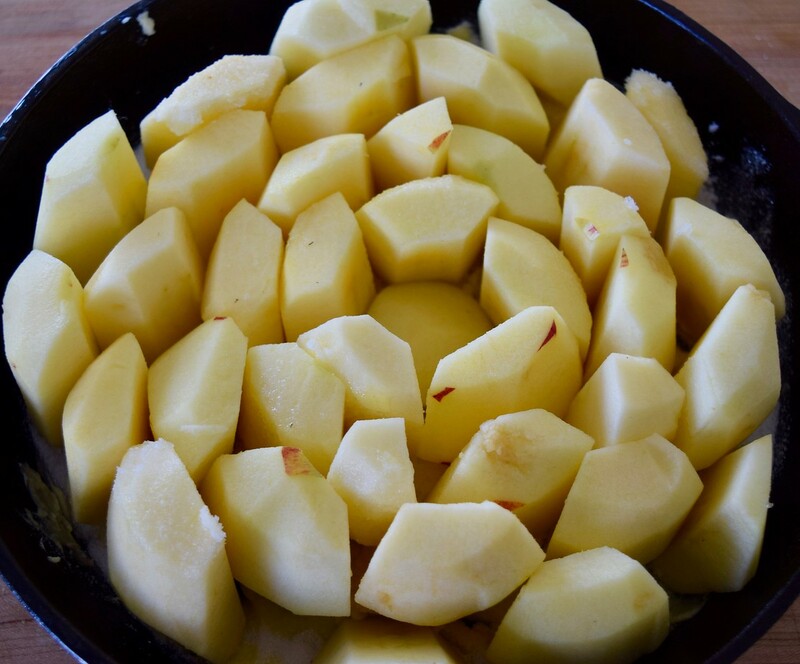 Finish baking until golden brown–7-10 minutes. Allow to cool. When cool, cookies will be crisp. 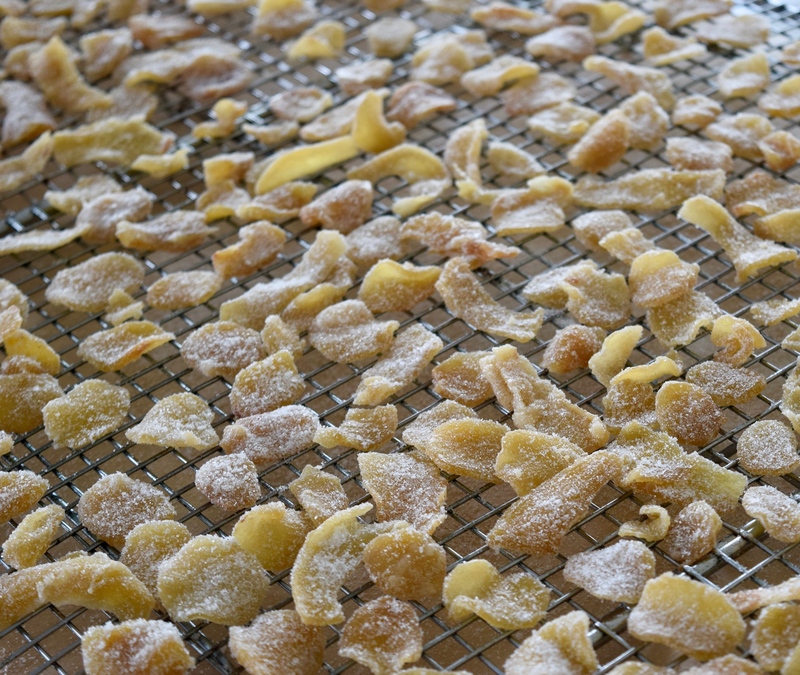 Stored in an airtight container, they’ll keep their crispness. Admission time: I was very late to the Great British Bake-Off party. Like I don’t think we started watching until fall of 2015 late (five seasons in if my research is correct). People kept telling me I should watch it. However, I’m a lackadaisical television viewer at best and downright neglectful at worst (like if I can’t immediately find the remote I don’t bother). Also, with the exception of Top Chef, reality competition shows aren’t really my jam. I think its because I was writing my dissertation (ie living under a rock) when Survivor kicked-off and so basically missed that genre’s bus. Luckily I finally got the hint about the Great British Bake-Off and tried an episode. From the first episode, TD and I have been periodically hooked. The show is delightful. Since I’m the last person on the planet to join in, you don’t need me to tell you all the reasons why. But I’ll give you two. First, I love how nice everyone is. I know that respect and cooperation are not generally considered the cornerstones of good reality TV. But here (as in real life), it shines. Second, the amazing baked goods (just call me captain obvious). I’ve taken quite a bit of inspiration from the novel-to-us-in-the-U.S. bakes. Case in point: rough puff pastry. We made puff pastry in the baking course I took a few years ago. And while I loved making it, puff pastry, like most laminated doughs isn’t really worth the time and effort. 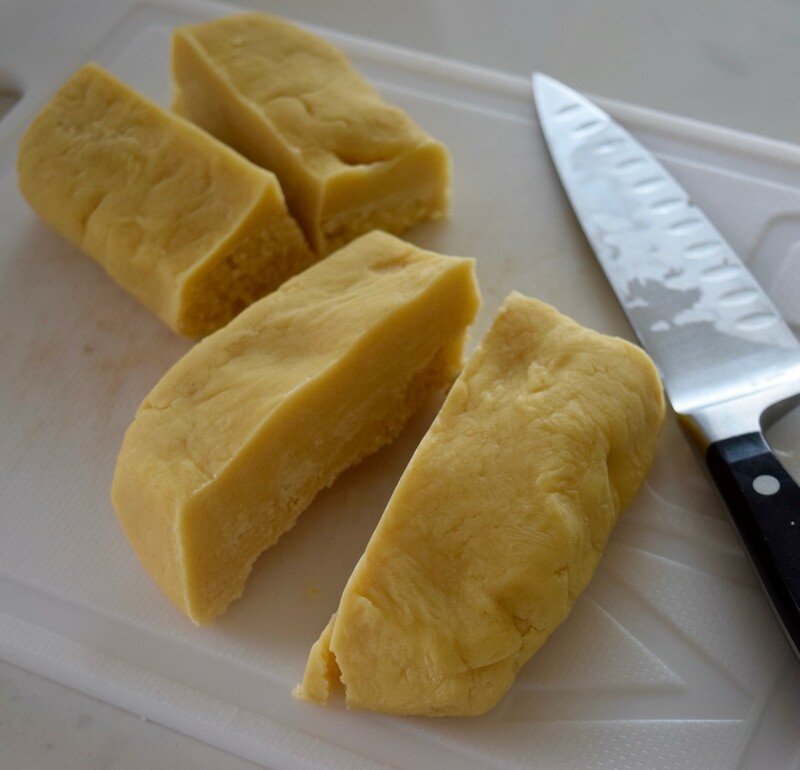 In the full recipe you beat a block of butter into submission and then try to incorporate it into the dough by carefully rolling it in over many turns (there are more steps but they’re tedious and you don’t care). However, rough puff is an entirely different story. It’s kind of a combination of traditional laminated puff and pie dough. The key is frozen, grated butter. The reason we love puff pastry is in the name. All of those beautiful layers of crisp and tender dough that surround any number of delicacies are as impressive to look at as they are delicious to eat. This recipe achieves this through three turns of the dough. Turns refer to the laminating process whereby the dough is rolled out, folded, rested in the fridge and then the process is repeated. 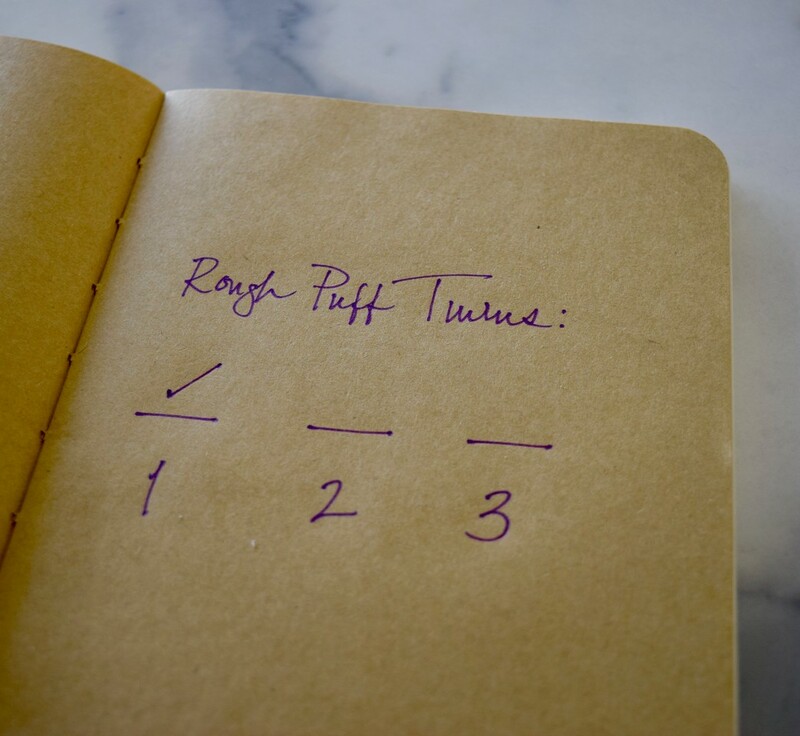 Why should you make your own rough puff? Well, it’s fun for starters. With a little patience, it’s easy to make. It’s also economical. 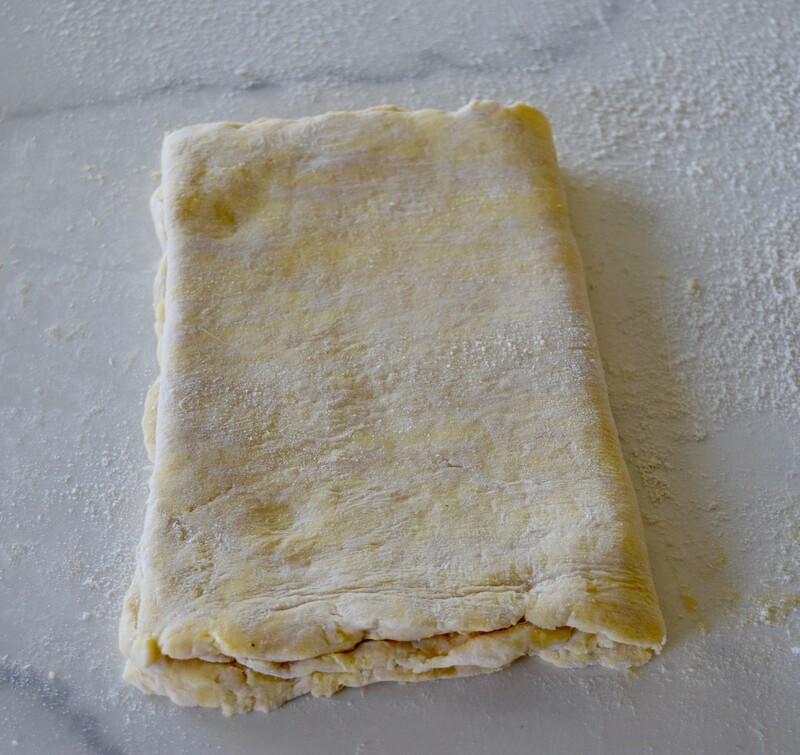 Puff pastry retails for about $5.50 for just over a pound (.32 per ounce). 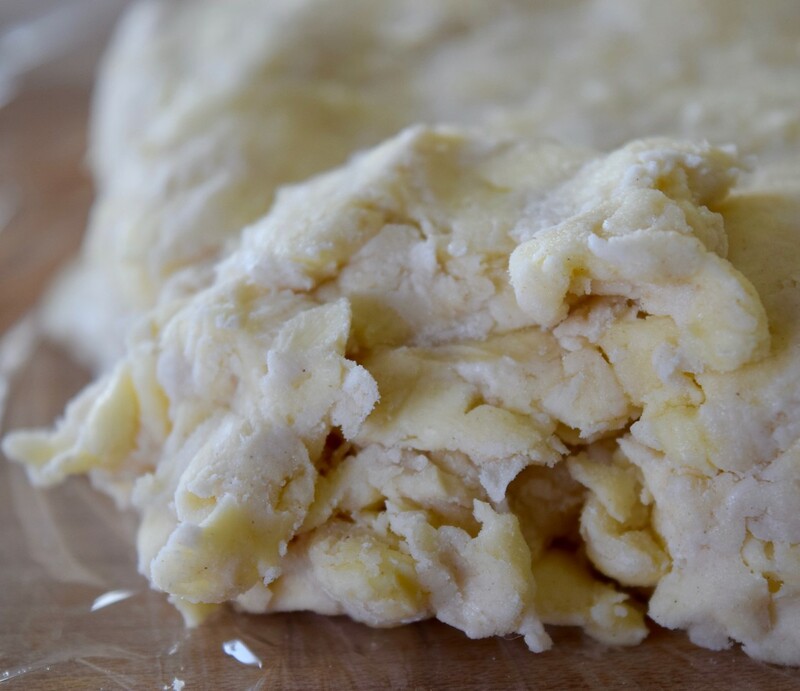 The only real cost in rough puff is the butter. Nice middle of the road domestic butter costs about $5 a pound where I live (or .31 an ounce). 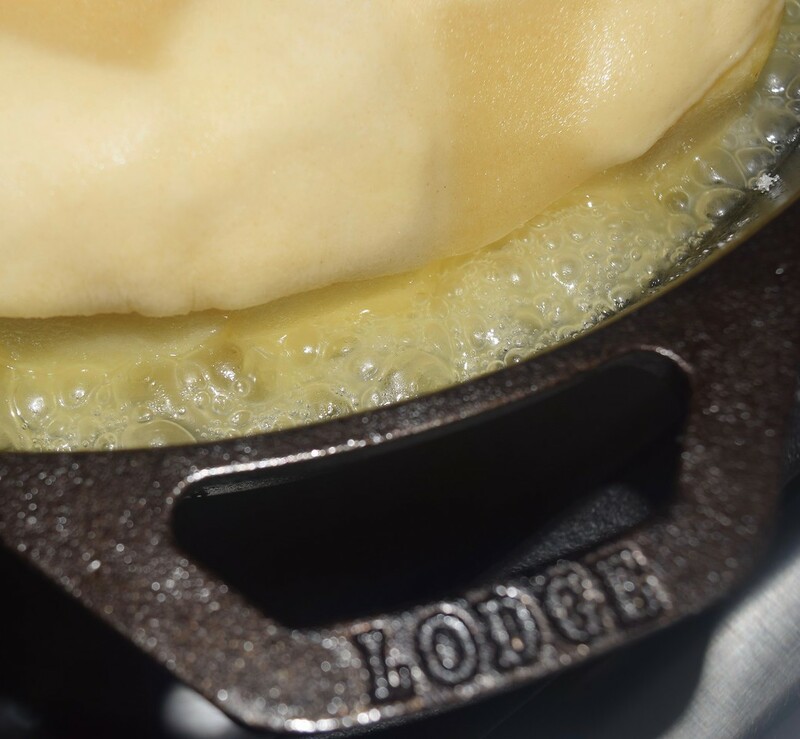 The recipe calls for 13 TBS, or about 6.5 ounces of butter to yield a pound of dough. That’s about $2 in butter. Add in another .50 for flour and it’s still less than half the cost of store bought. Finally, it’s probably better quality. Pepperidge Farm is the king of puff (not bashing on them–I use it all the time). However, if you check the ingredient list you’ll find that butter is not one of them. They use shortening instead. 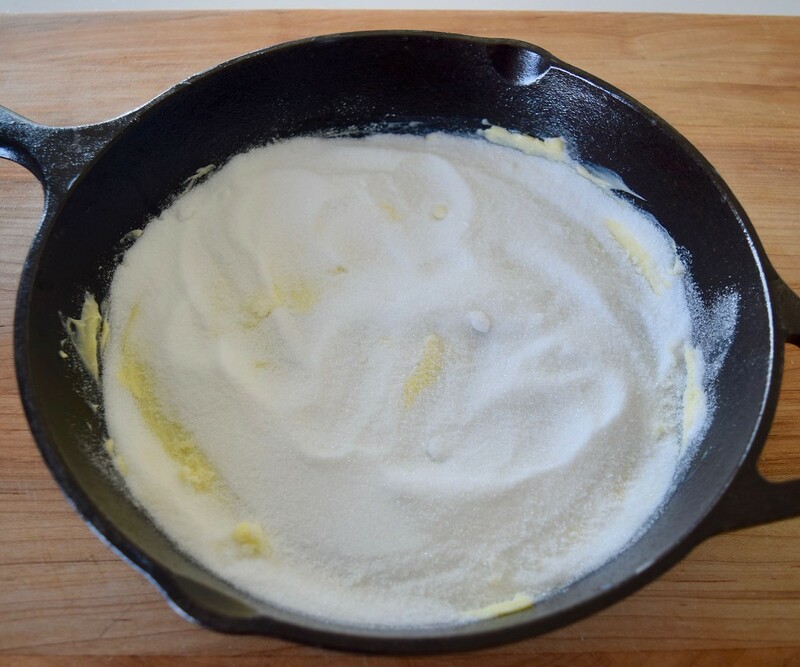 Shortening absolutely has its place in flakey pastry (it has a higher fat content than butter from a density perspective and so can create a more tender bite). However, everyone knows butter tastes better. If I still haven’t convinced you to make your own, at least hear me out for the next two weeks. I’m going to show you what I made with my rough puff. Sift together flour and salt into a chilled large metal bowl. 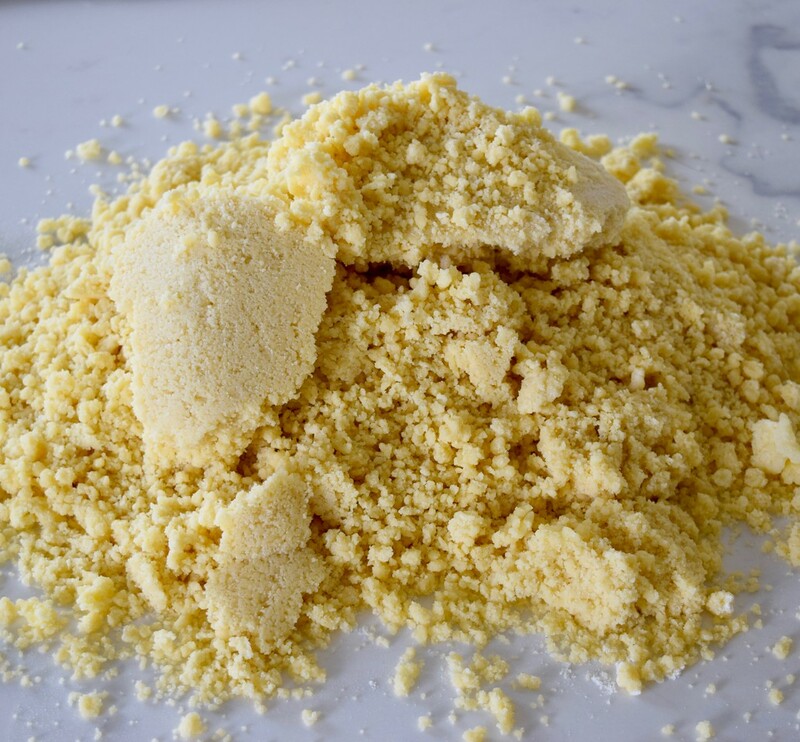 Set a grater in flour mixture and coarsely grate frozen butter into flour, gently lifting flour and tossing to coat butter. Drizzle 5 tablespoons ice water evenly over flour mixture and gently stir with a fork until incorporated. 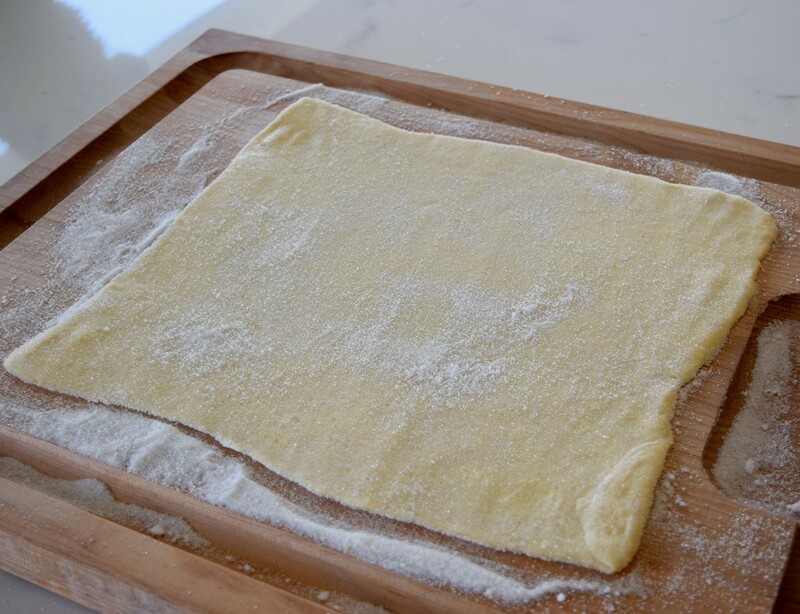 Roll out dough on a floured surface with a floured rolling pin into a 15- by- 8-inch rectangle. 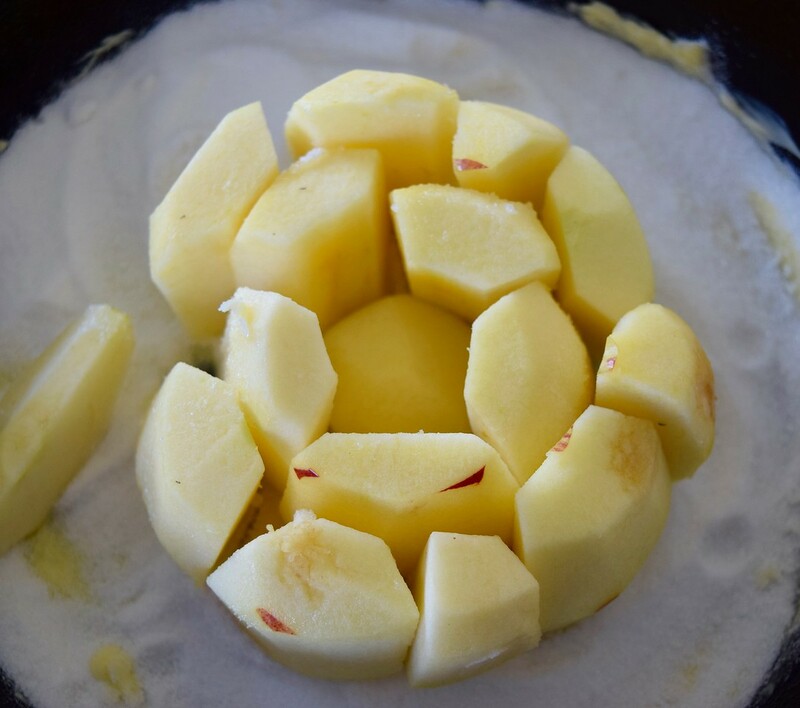 Arrange dough with a short side nearest you, then fold dough into thirds like a letter: bottom third up and top third down over dough. Rewrap dough and chill until firm, about 30 minutes. 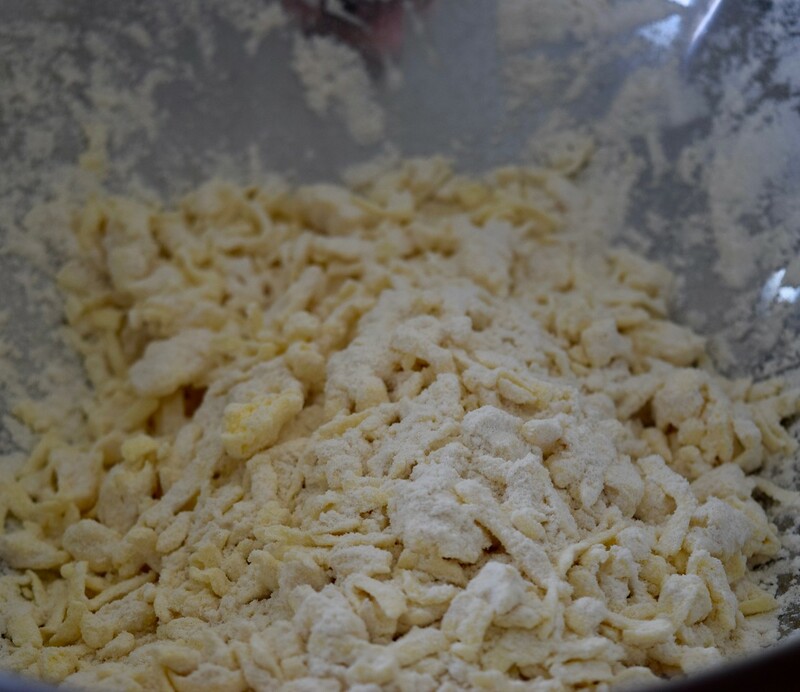 Arrange dough with a short side nearest you on a floured surface and repeat rolling out, folding, and chilling 2 more times. 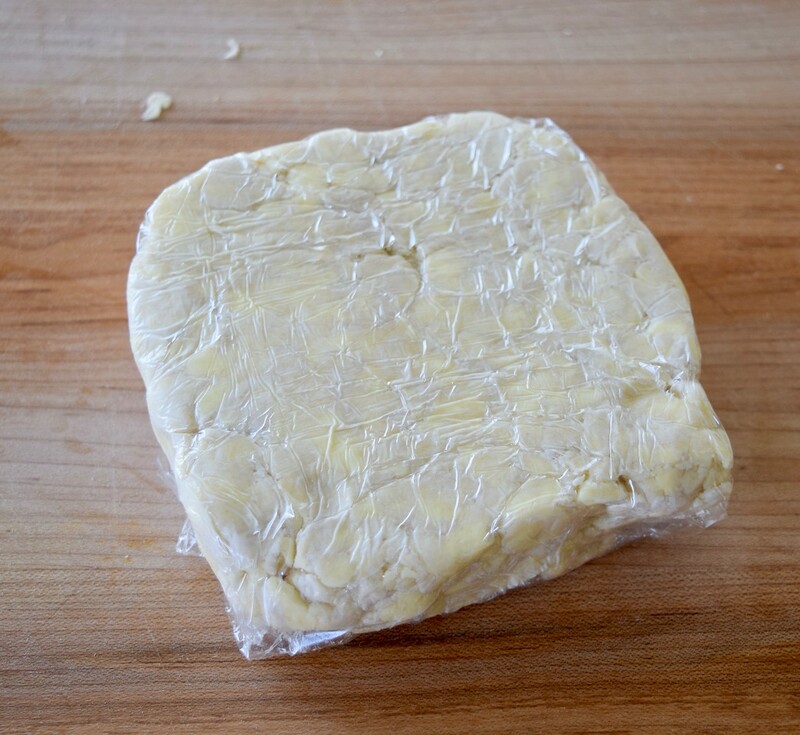 Brush off any excess flour, then wrap dough in plastic wrap and chill at least 1 hour. Note: This dough does really well in the freezer. Double wrap and then bag it and it will be just fine in the freezer for up to a couple of months. Thaw in the fridge for a couple of hours before using. It’s sunbutter and jelly time! You knew this was going to happen right? And, can anyone explain to me why it’s a banana doing the dance? If you’ve been around for a while you know I love back to school time. Summer is a’right I guess, but fall is where it’s at. And so, in the tradition of new school shoes and fresh notebooks, I give you this year’s lunchbox treat. 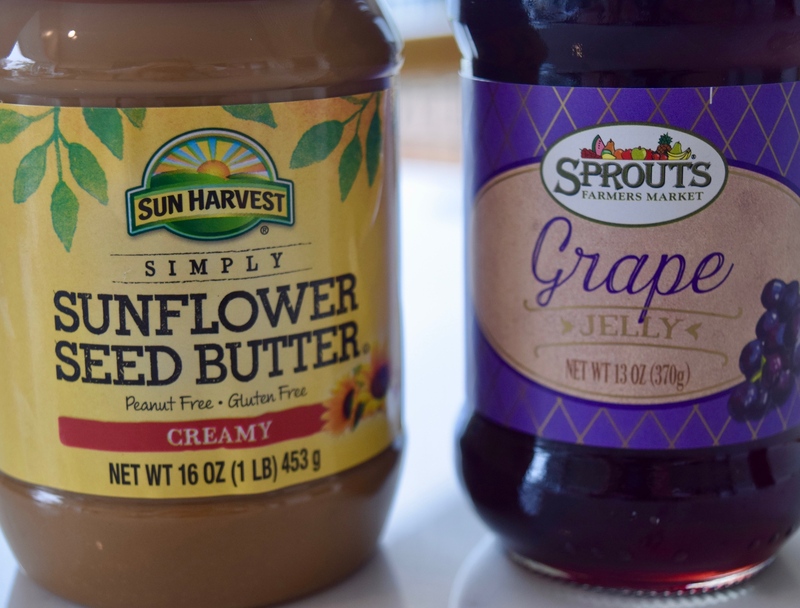 What could be more back to school than peanut butter and jelly? Turns out, most things–unless you want a call from your child’s principal about breaking the nut free zone policy. 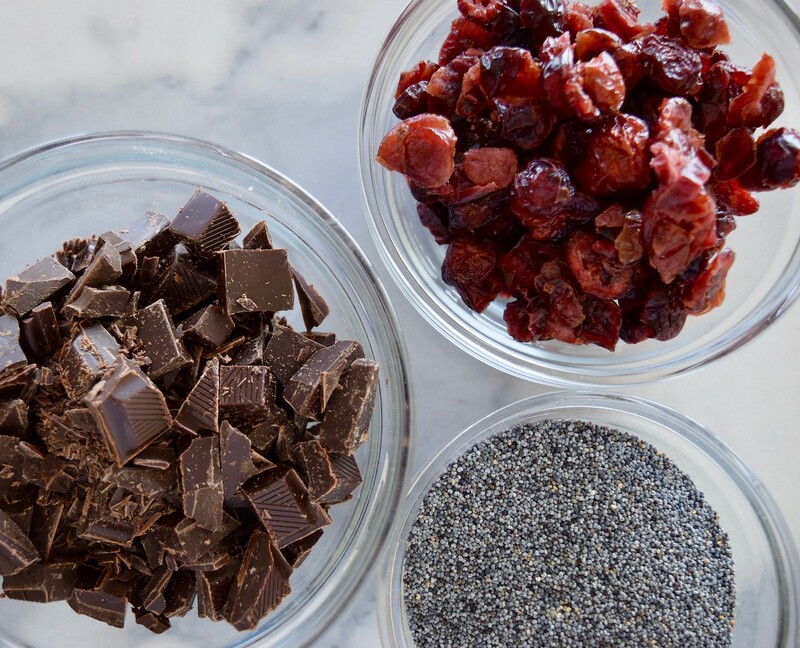 This is where sunbutter saves snack time. 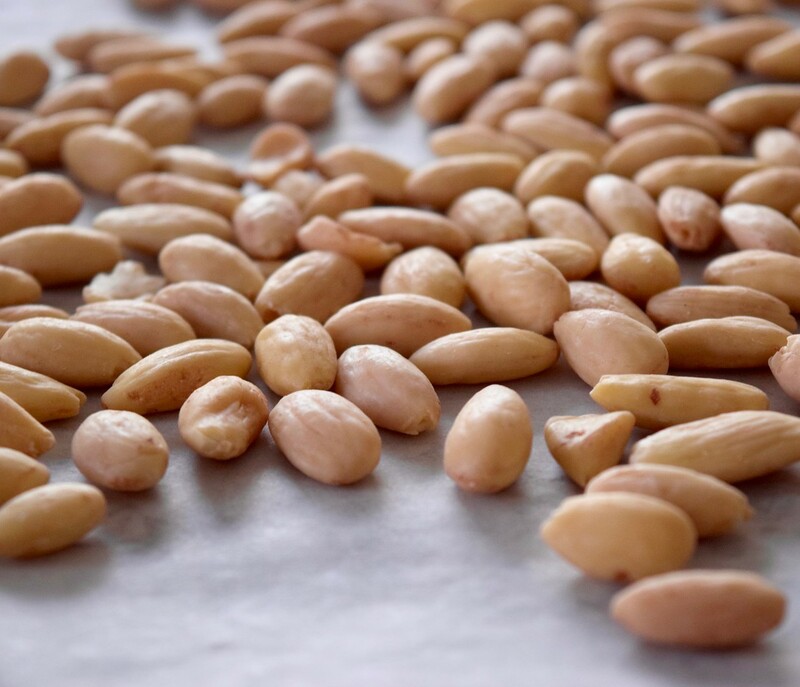 Made from sunflower seeds rather than tree nuts or the dreaded P legume, some schools allow this creamy (or crunchy) peanut butter stand-in. 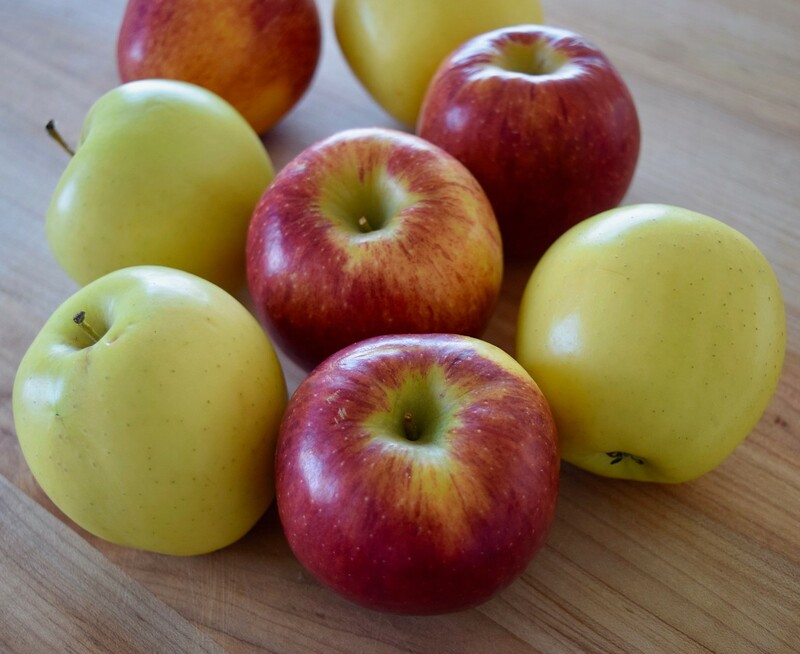 Paired with your jam or jelly of choice (you could even wax healthy and go no sugar added), these make a hearty school lunch or after school treat (and will save well for care packages). These aren’t delicate little fancies. They’re hearty, slightly sweet and nutty. In fact, I’m pretty sure that if you fed one to a kindergartener, they might not be hungry until the fifth or sixth grade. Preheat oven to 350 degrees. Line a 9X13 inch pan with parchment paper then grease entire pan. 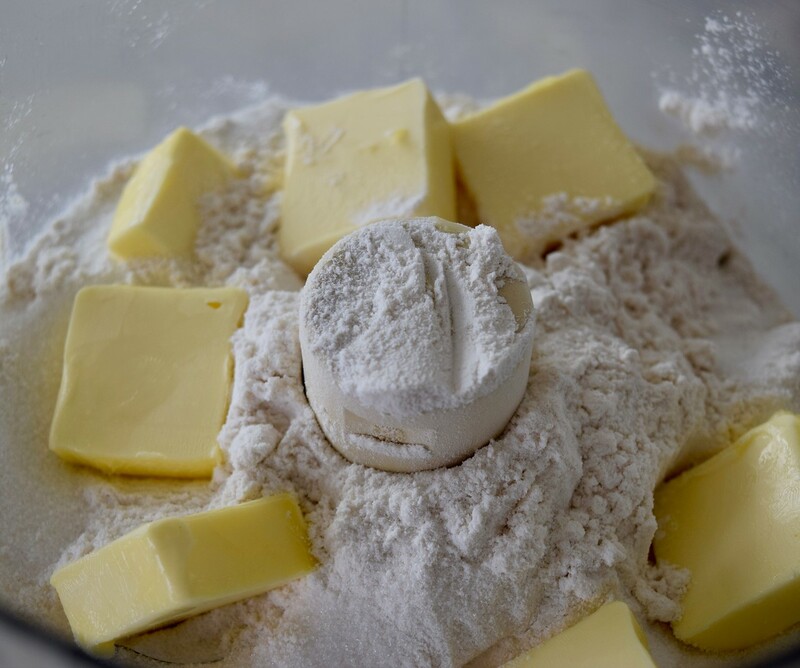 In the bowl of a Kitchenaid fitted with a paddle, cream together butter and sugar until mixture is light, about two minutes. Turn speed to low and add vanilla and eggs one-at-a-time. Add peanut butter and mix until well combined. With mixer on low, slowly add flour mixture. 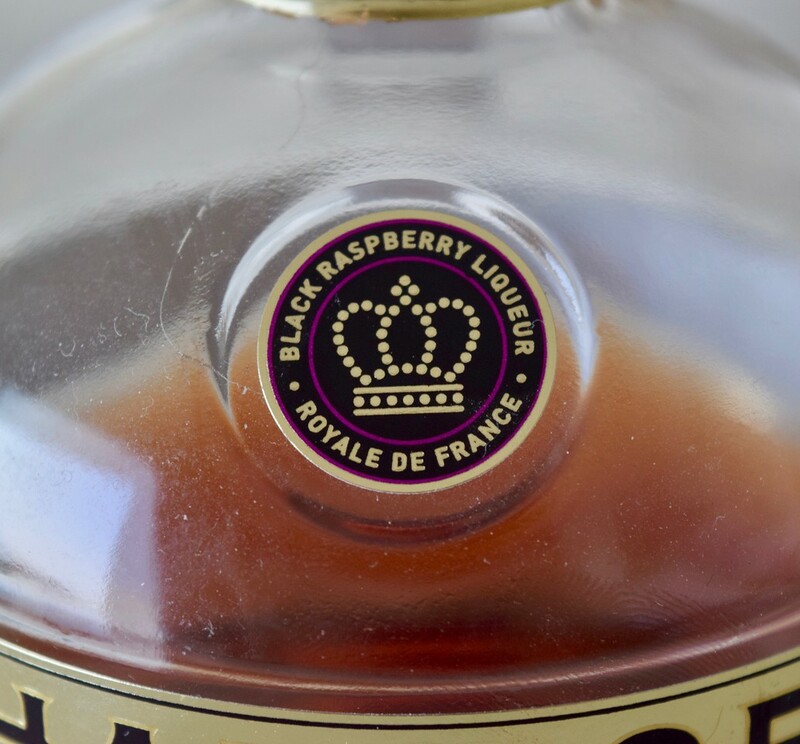 Mix until just combined. 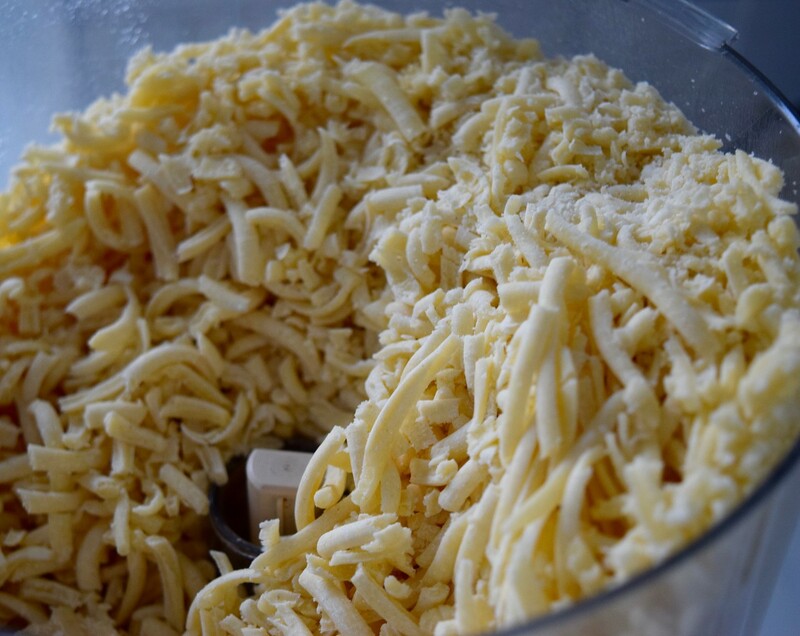 Spread 2/3 of the dough into the prepared pan using a knife (offset is easiest) to spread it evenly. 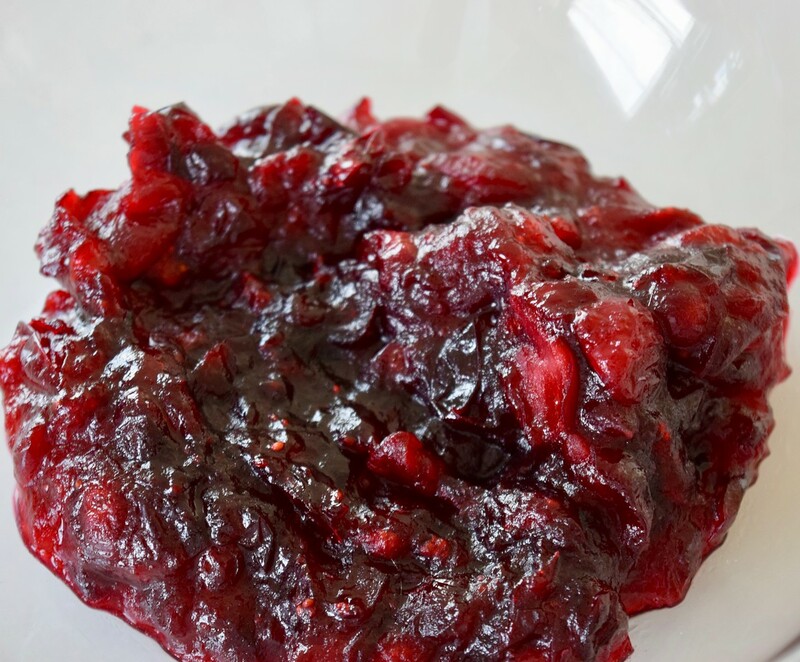 Drop small globs of the remaining dough evenly over the jam. 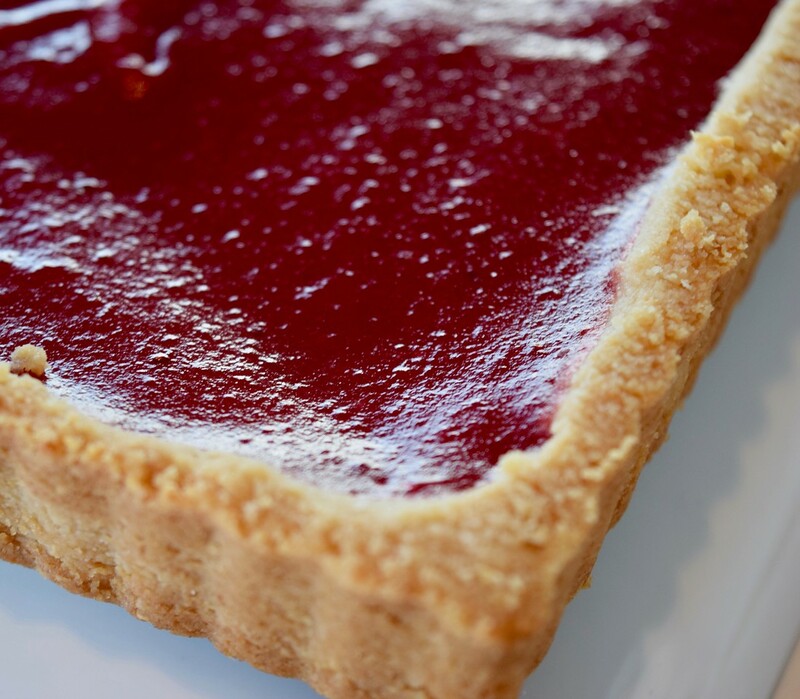 Don’t worry if the topping doesn’t cover the jam completely. Sprinkle with sunflower seed and sugar mixture. Bake for 45 minutes until top is golden brown. 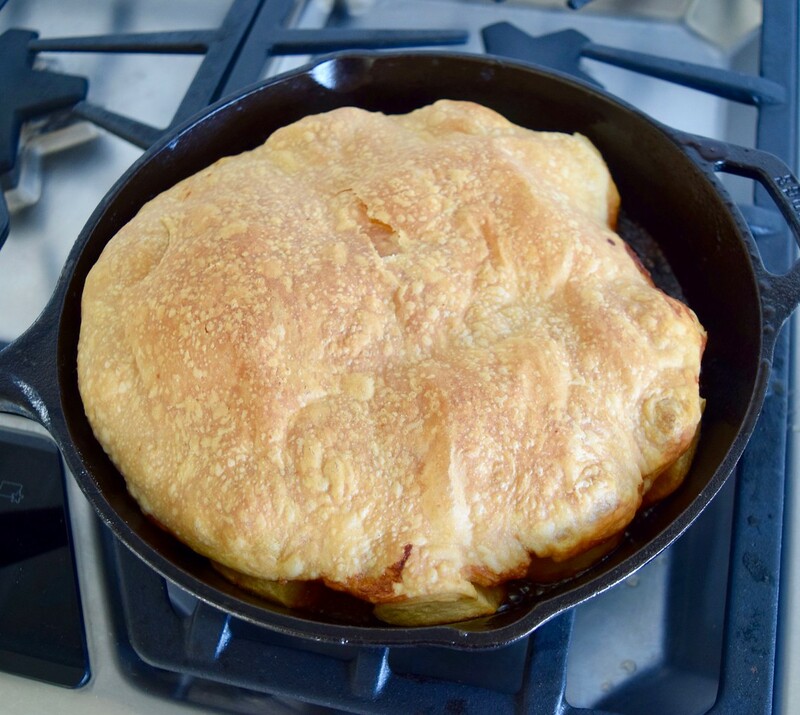 A note on this–start checking at 35 minutes–the last two times I’ve made this recipe they were perfect at 38 minutes. Allow to cool completely. Cut into bars and store in air-tight container.